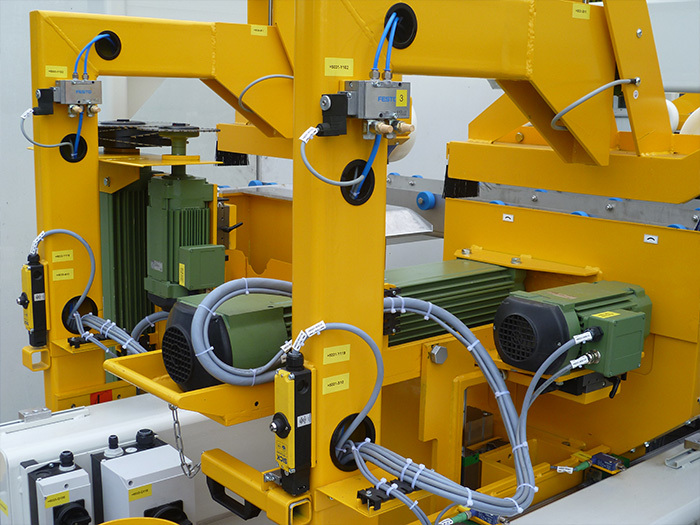 Plant engineering from KONTRA stands for premium-quality when it comes to custom-fit complete solutions. 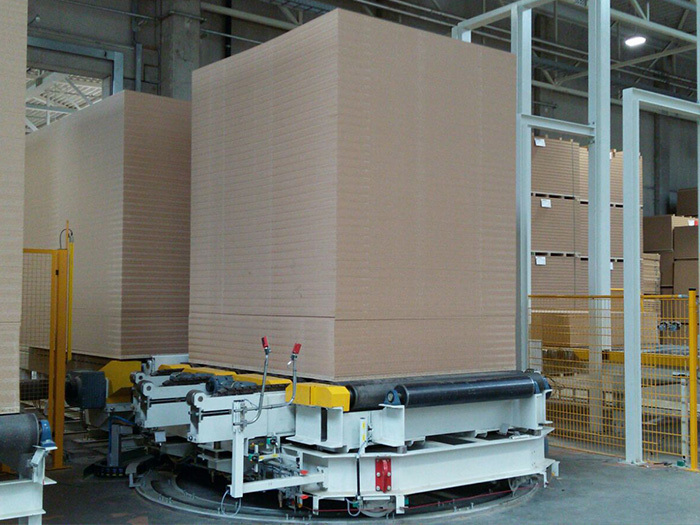 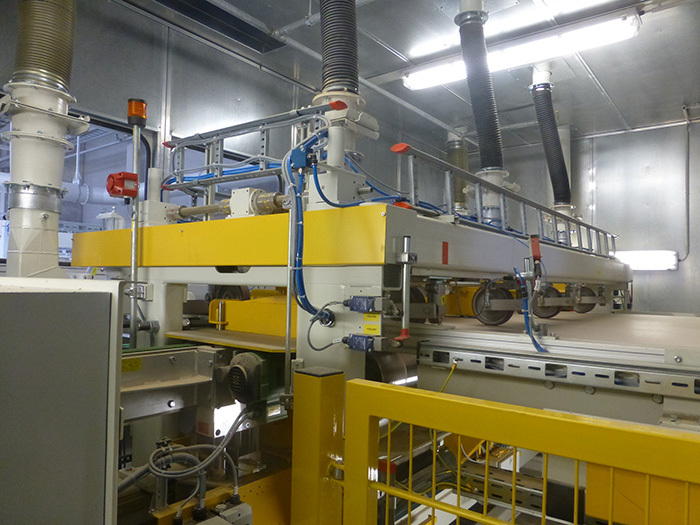 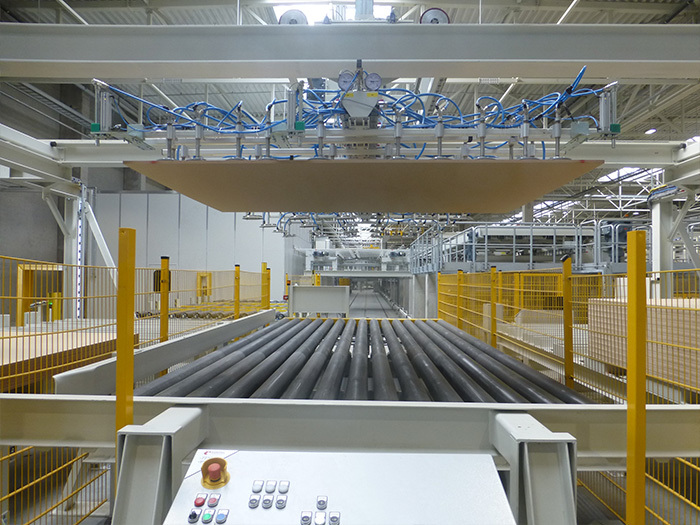 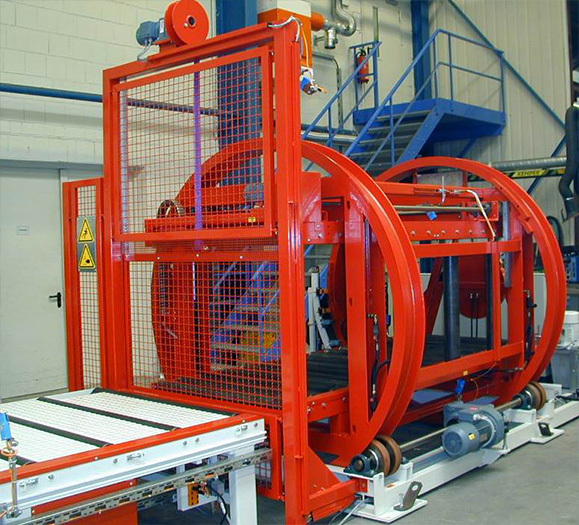 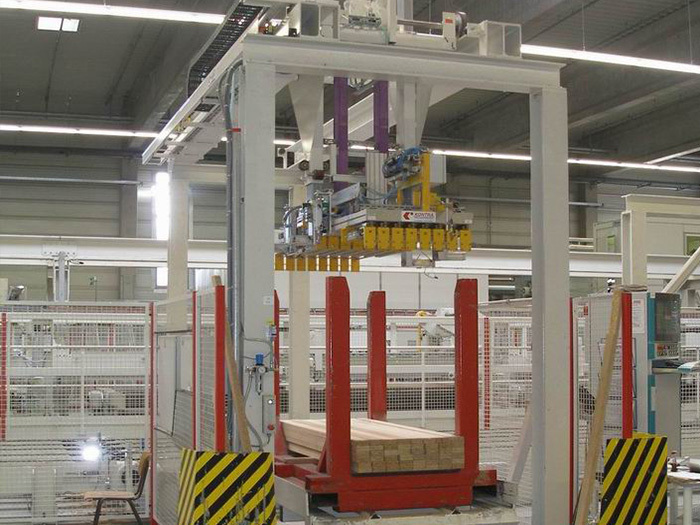 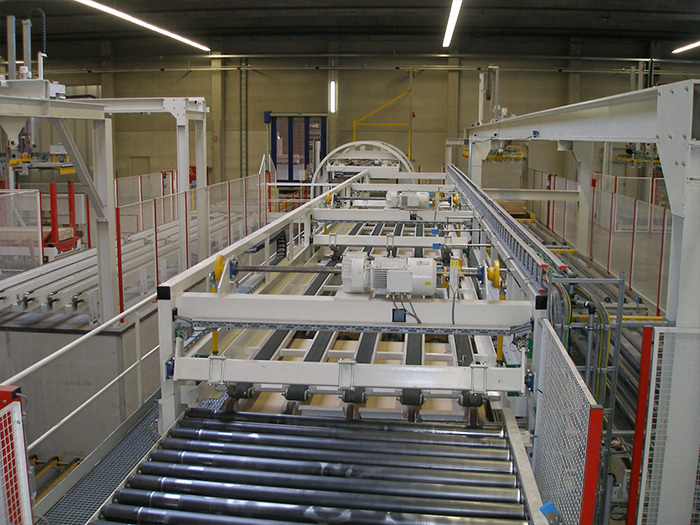 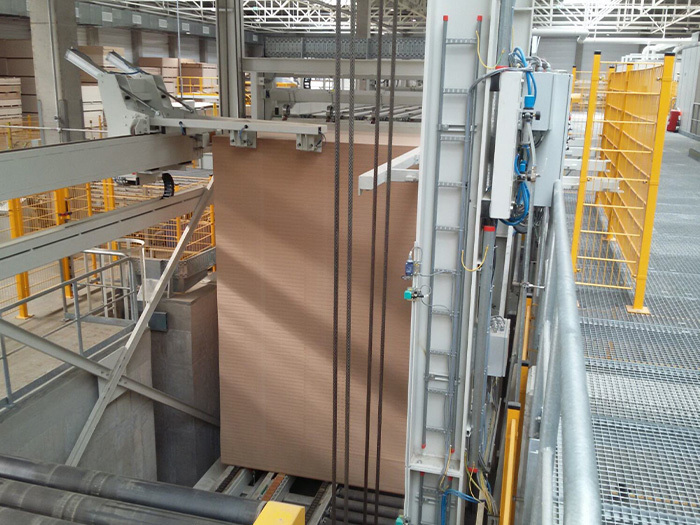 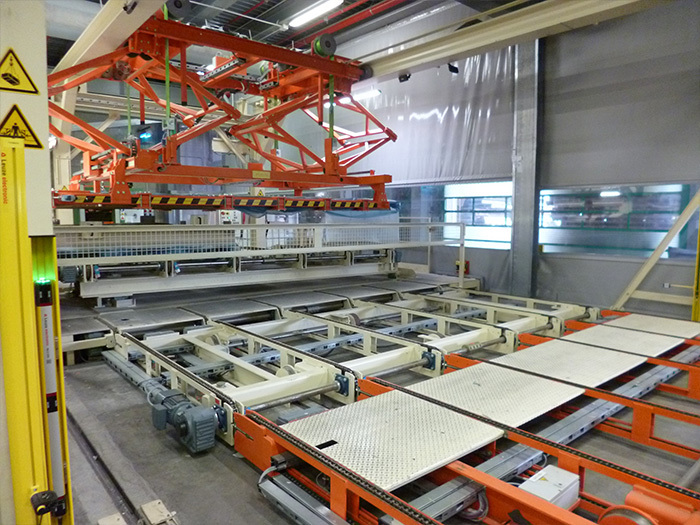 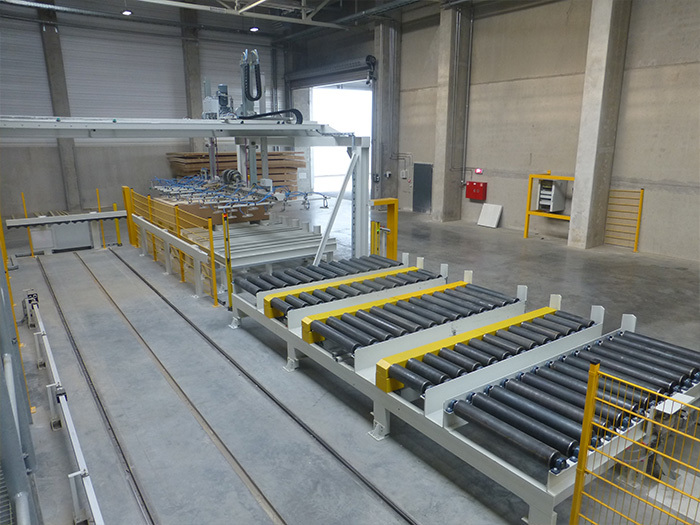 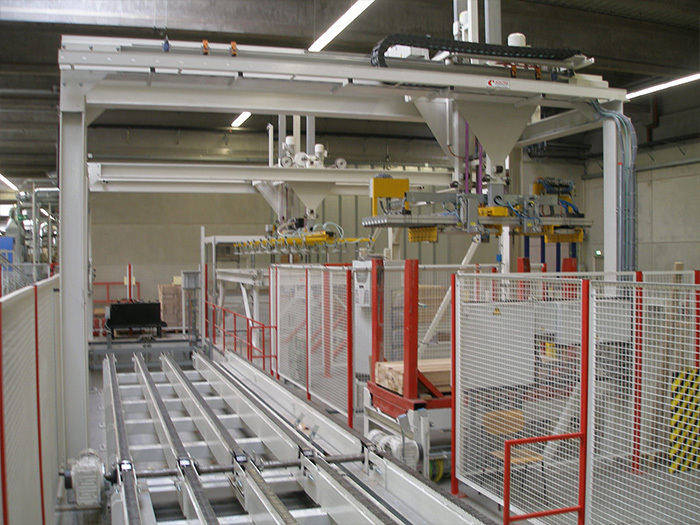 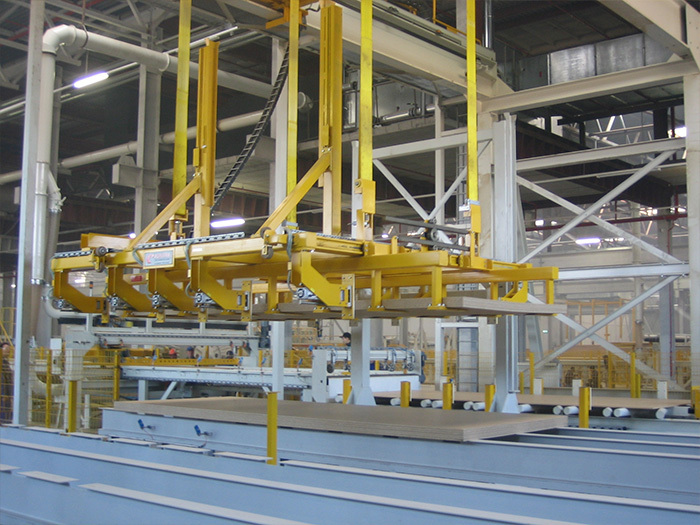 From press outfeed, handling and saw systems through to packed stack. 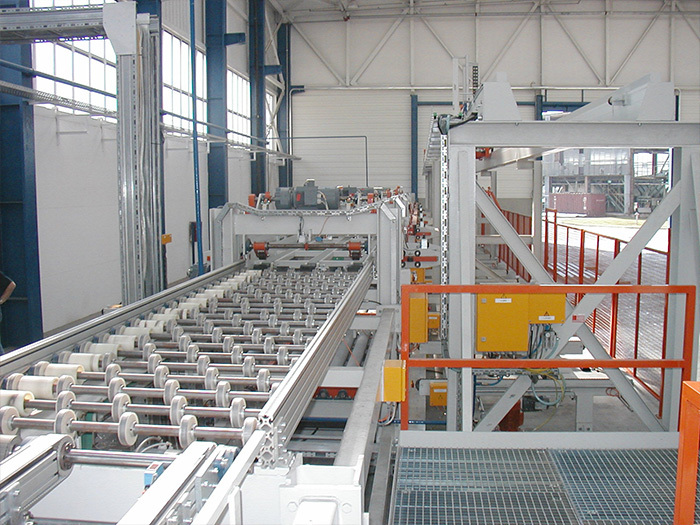 Even complex production processes. 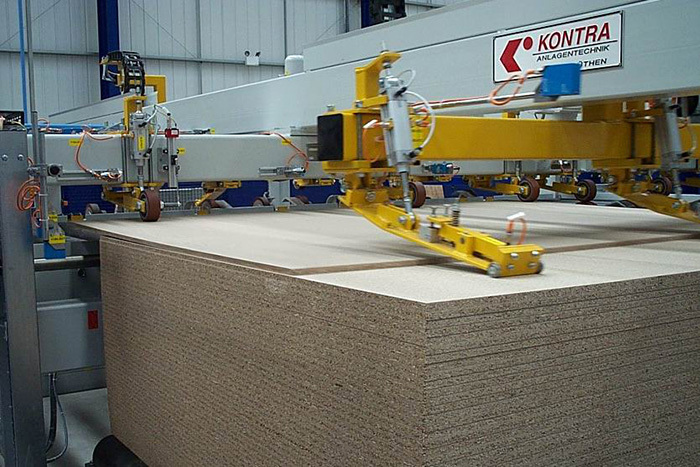 Conceived, designed and manufactured by KONTRA. 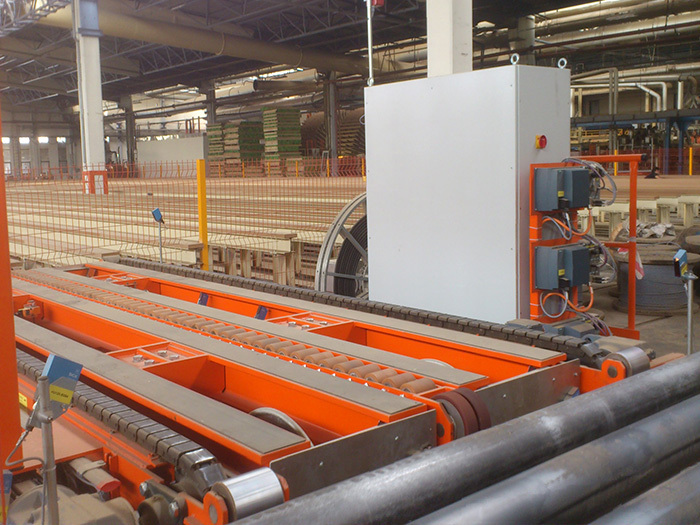 We prove our strong service orientation combined with short decision-making, personal contacts and tremendous dedication in every step of the project. 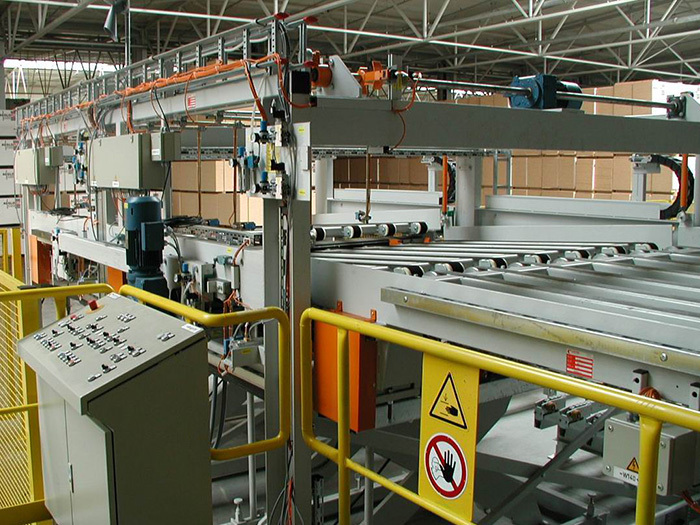 Our plant sections complement your existing plant individually, are building blocks of your complete line or renew and optimize your production line concept in the course of modernization. 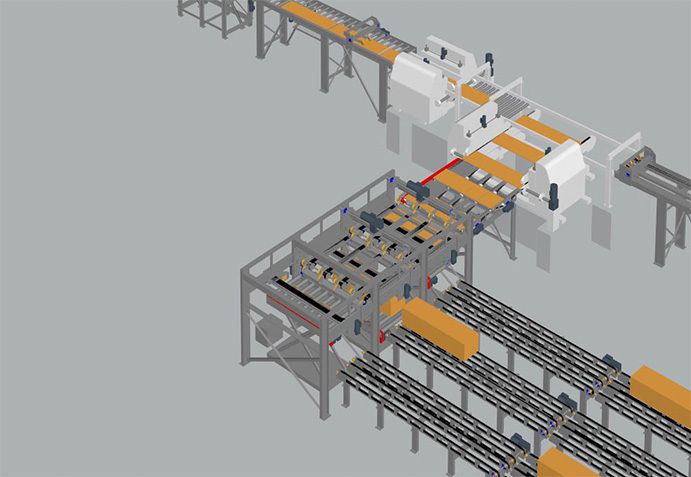 But also taking account of your production processes, area restrictions and existing components. 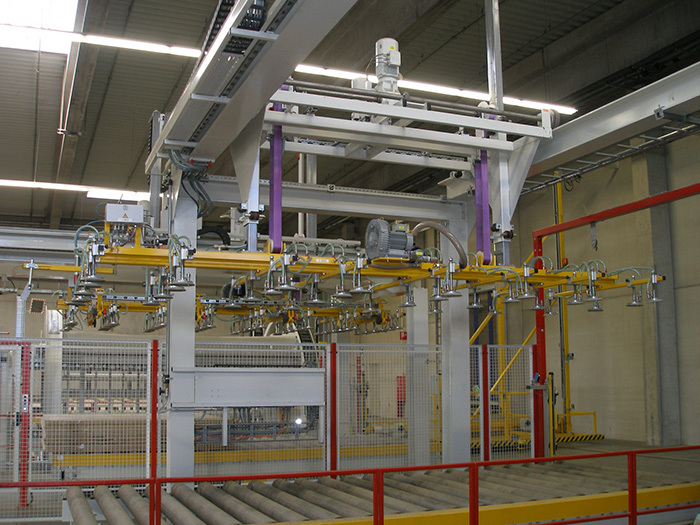 KONTRA systems represent a high-quality solution for the production with single daylight, multiple daylight or continuous presses. 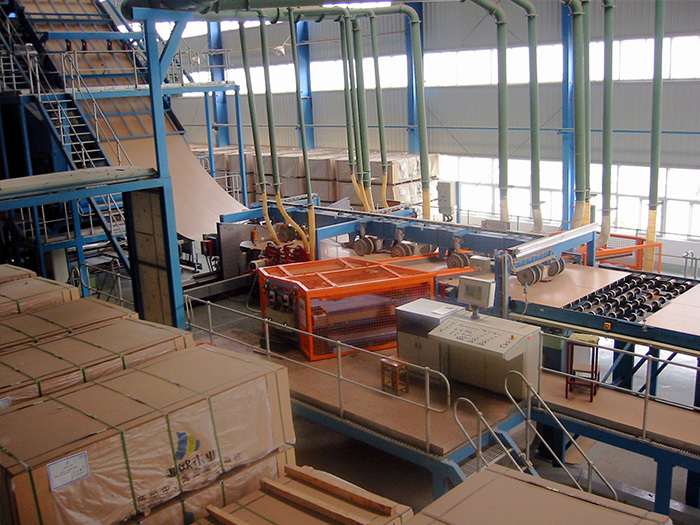 KONTRA is your partner for the production “around the clock”. 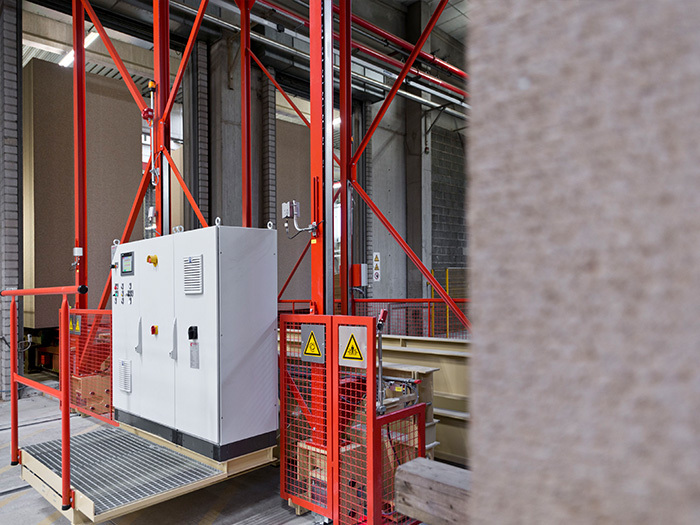 Our flexible adaption to the press concept, the product and the existing conditions offers you an individual system with convenient procedures and high availability. 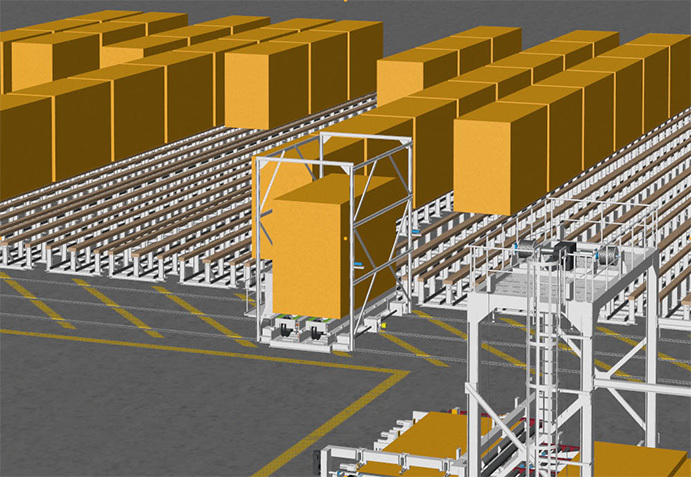 Storage automation for area storage systems. 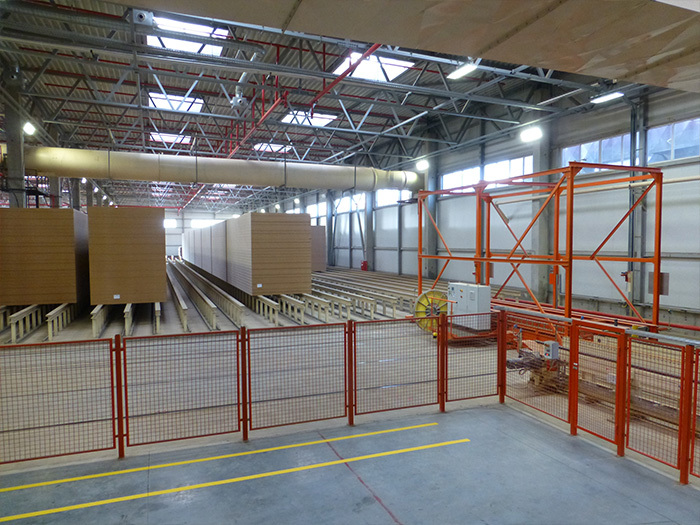 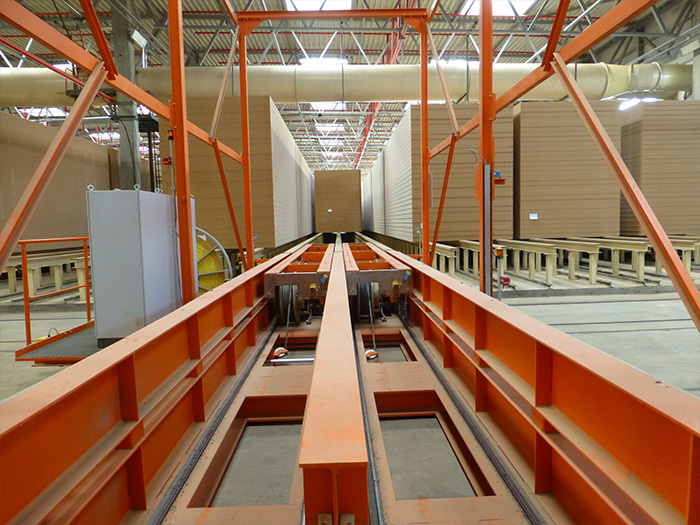 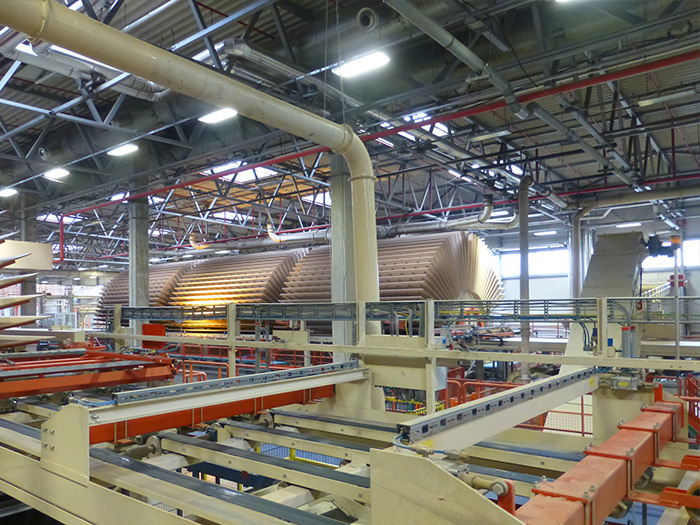 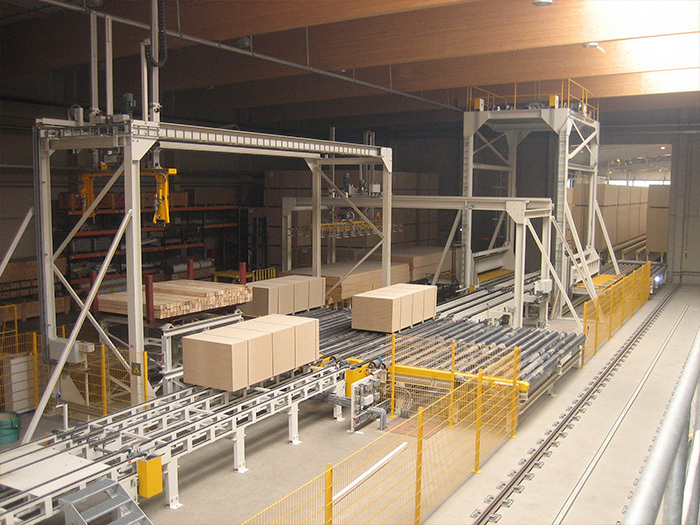 The basic carriage transports stacks to and from plant sections and the store shuttle carriage (dog system) is used within the warehouse. 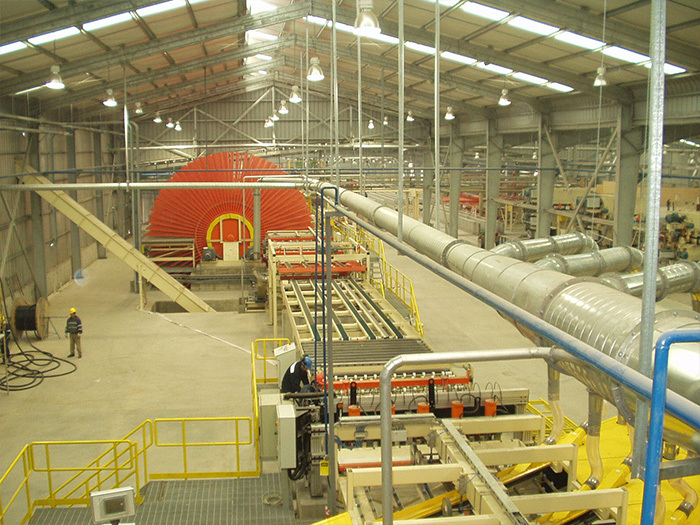 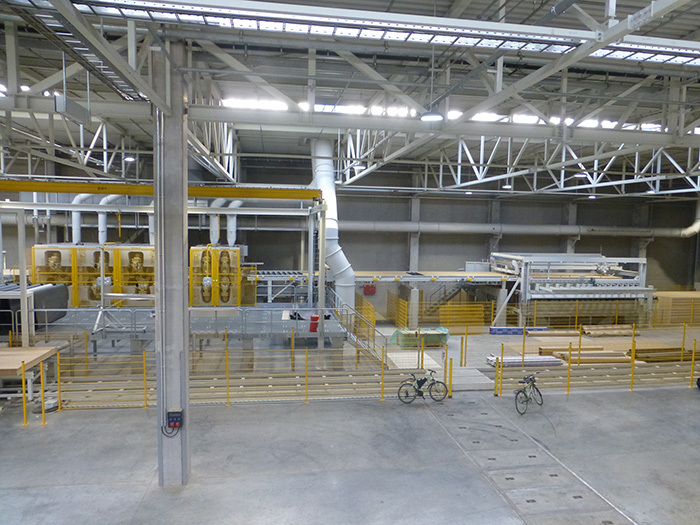 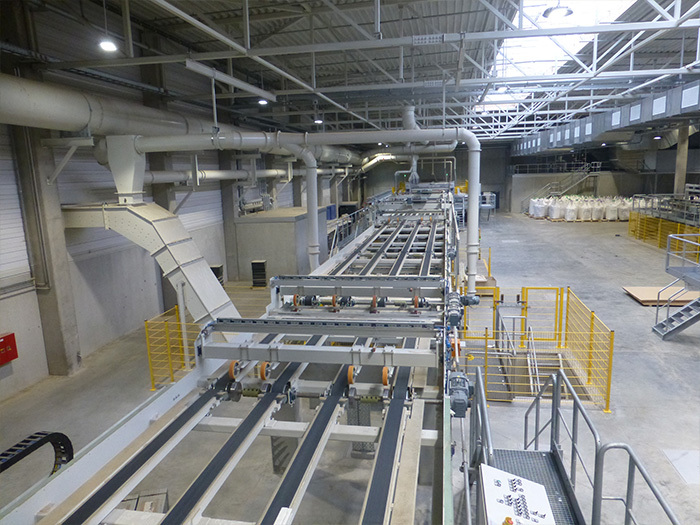 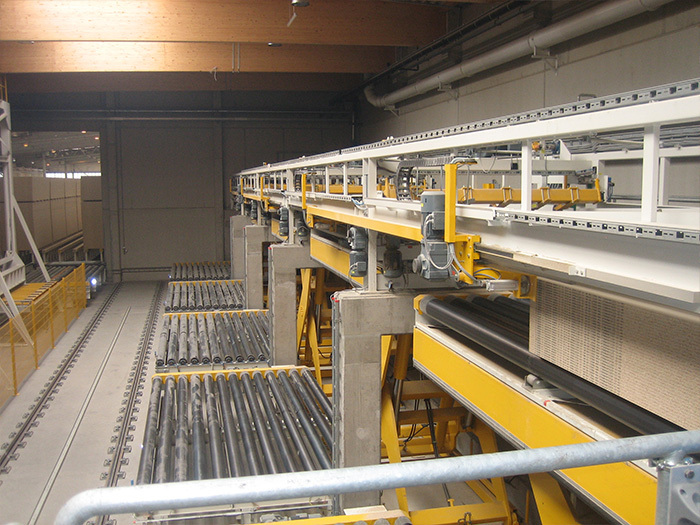 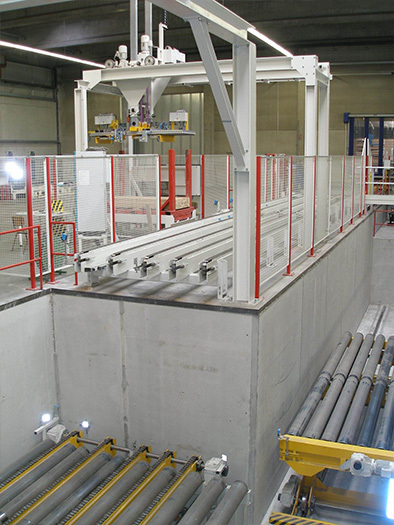 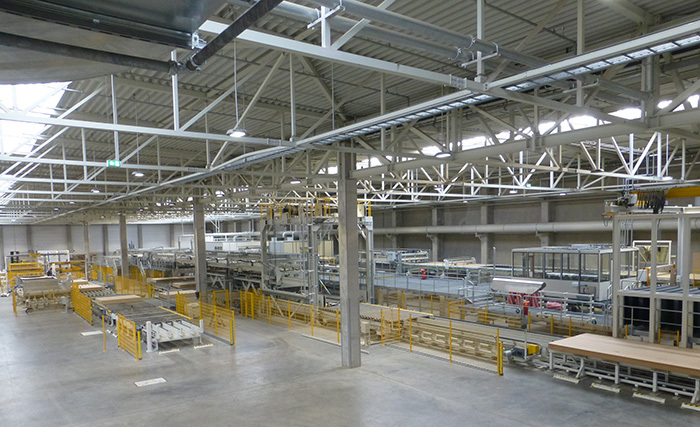 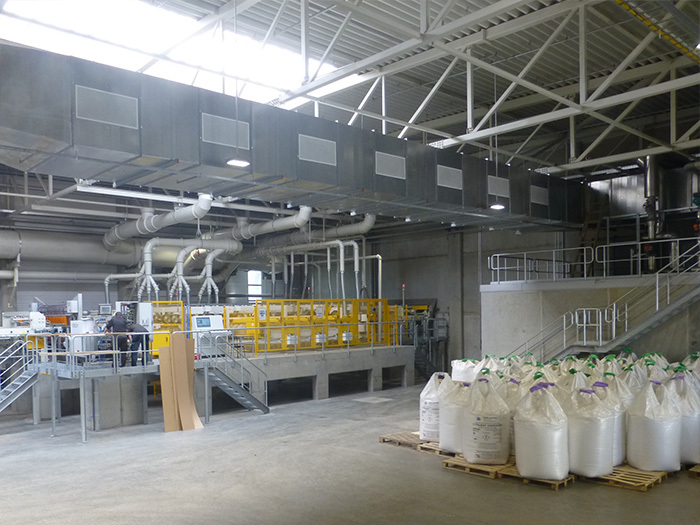 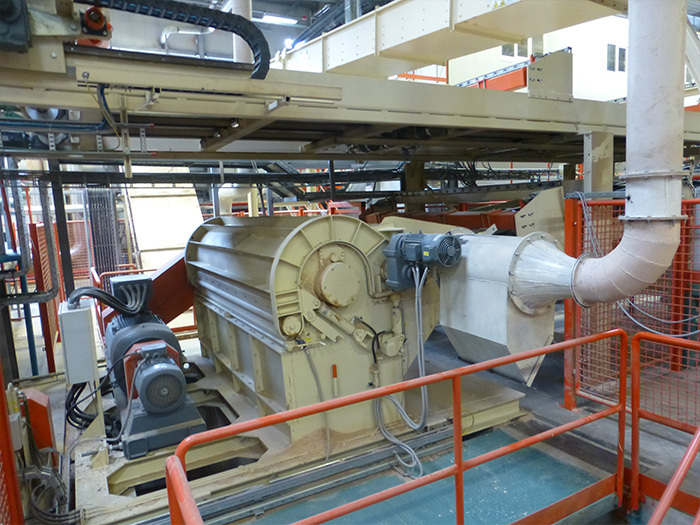 The storage automation is linked to other areas of the plant with additional conveying technology. 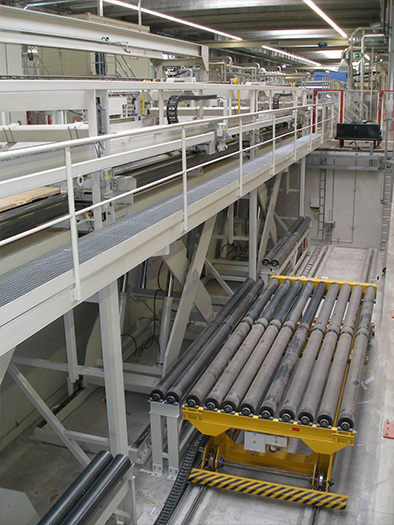 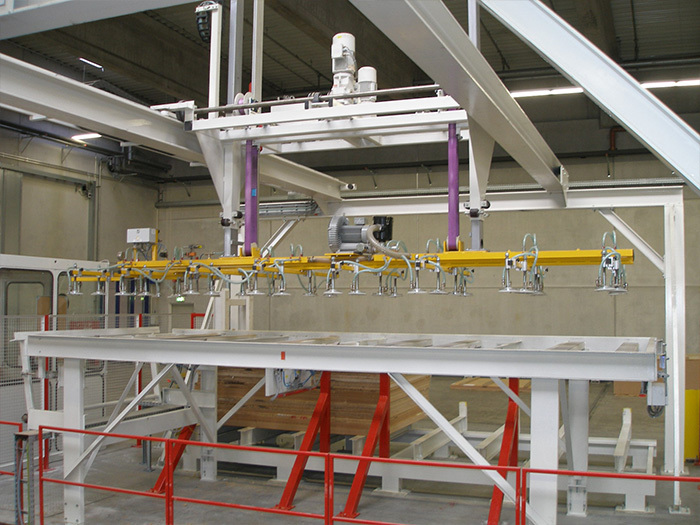 An integrated stack chain conveyor enables a direct stack transfer without additional adapter conveyors. 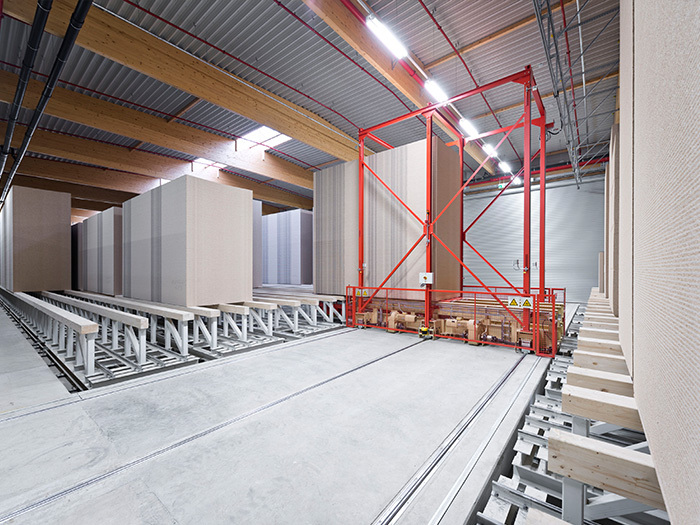 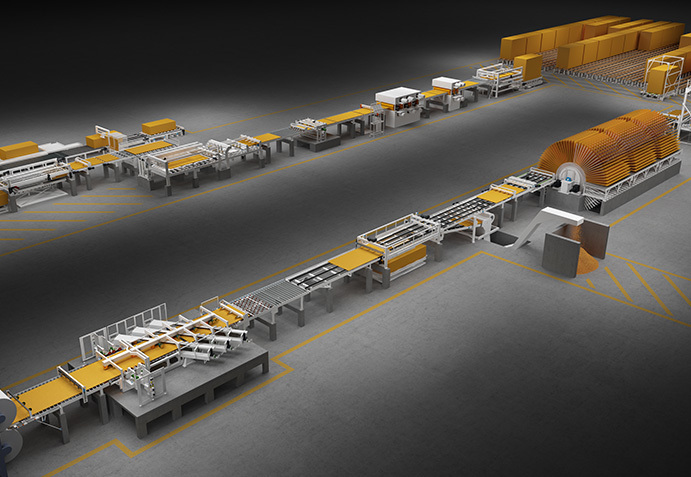 The KONTRA storage automation system takes over the transport of jumbo stacks to the storage area and to the downstream processing and production lines. 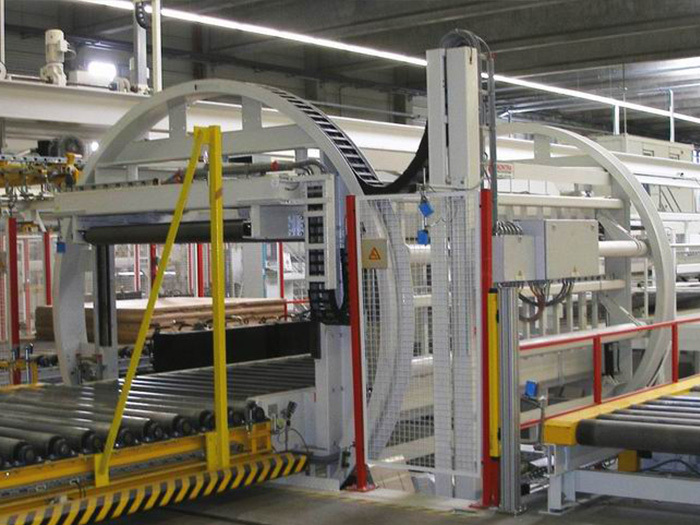 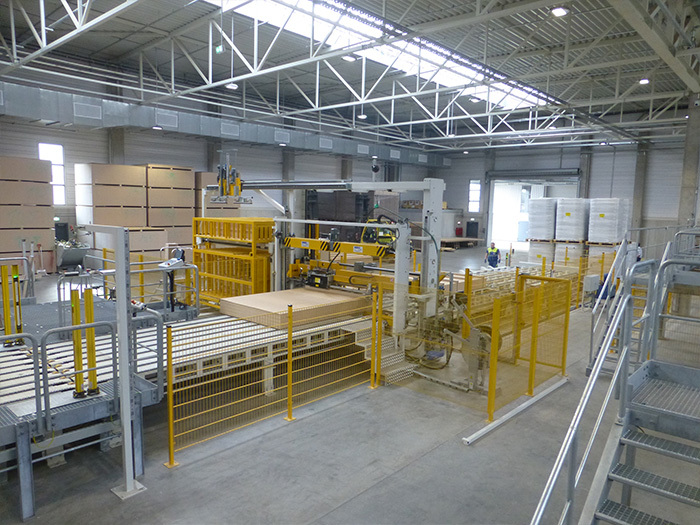 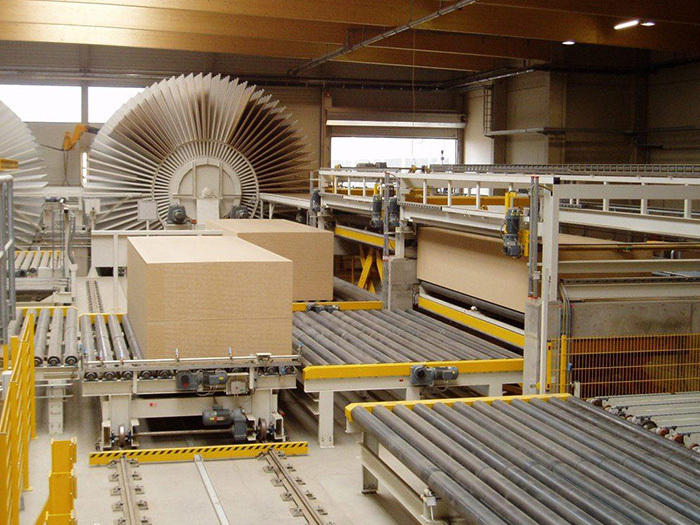 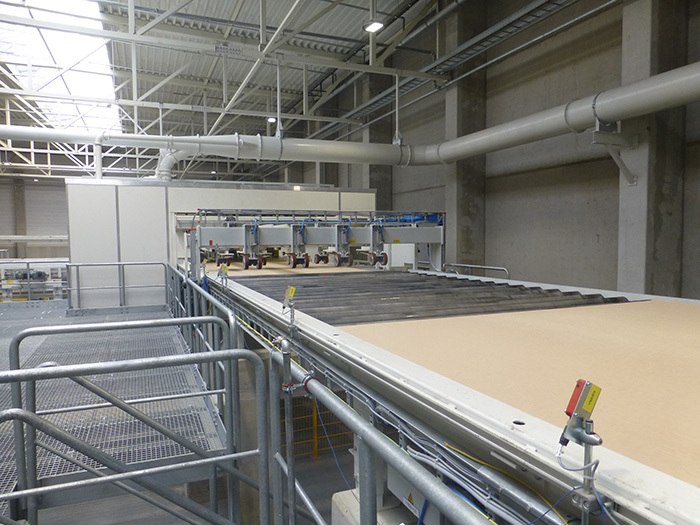 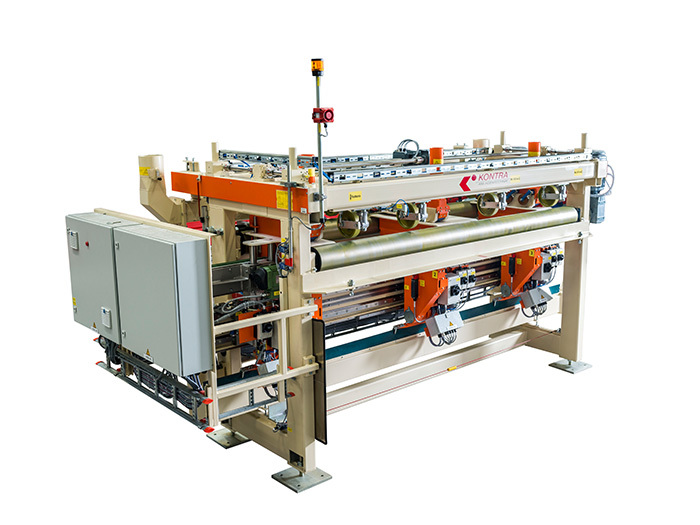 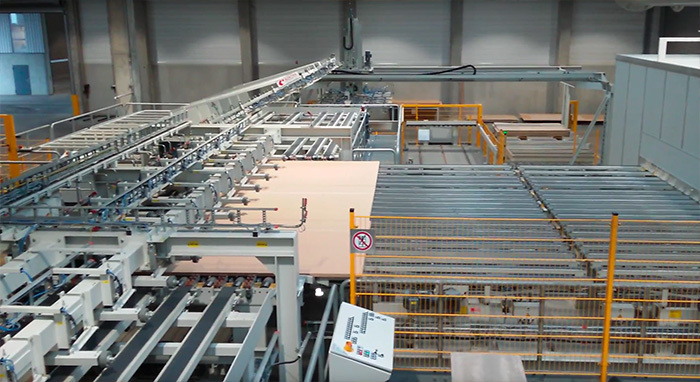 Particularly in combination with inline saw and packaging line the KONTRA sanding line offers an efficient machine concept in the areas of sanding, cutting-to-size and packing boards. 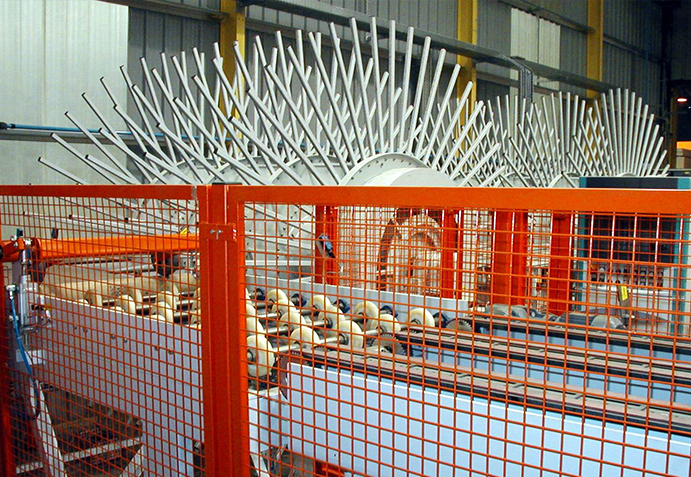 2 sided and 4 sided edge processing. 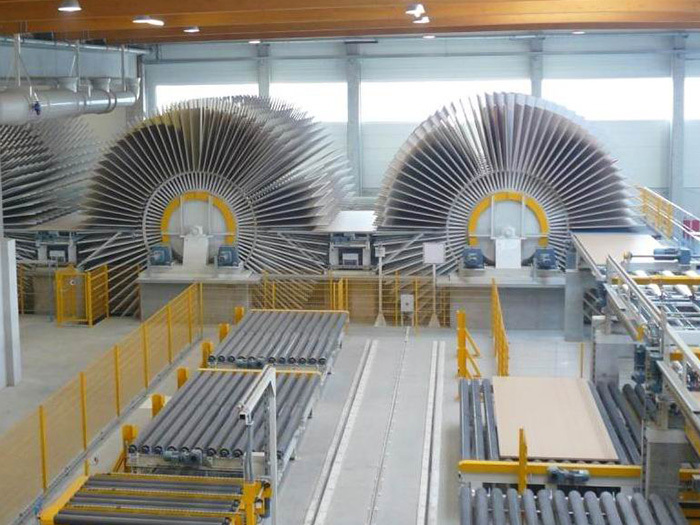 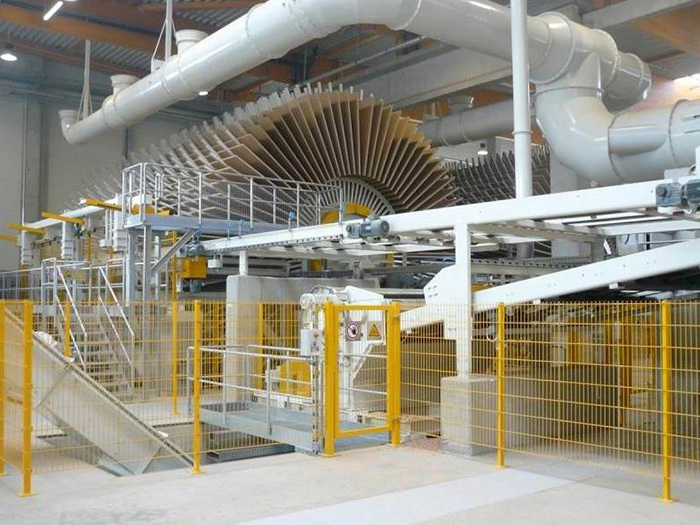 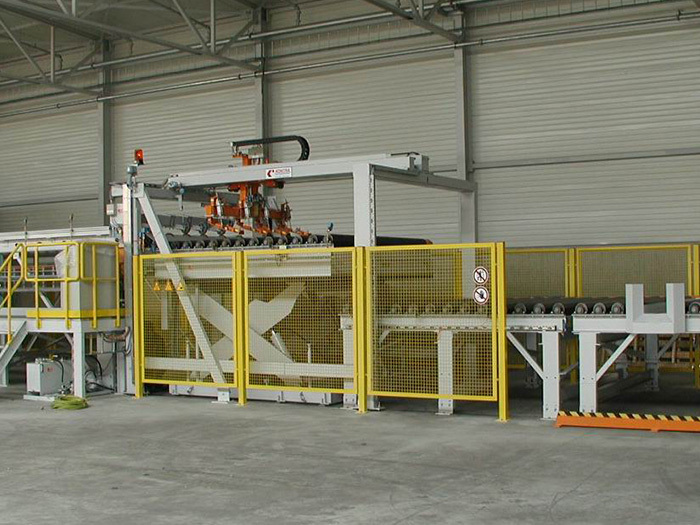 feeding of large sizes and stacks: This concept provides a high degree of flexibility and performance. 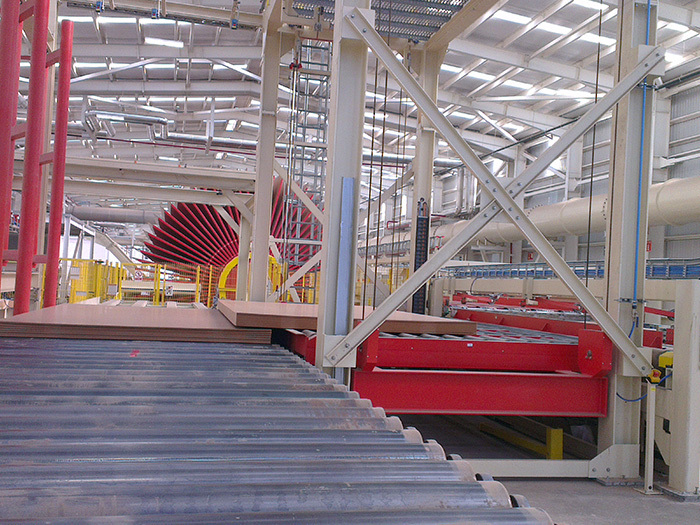 On the other hand, this entails a high capital expenditure. 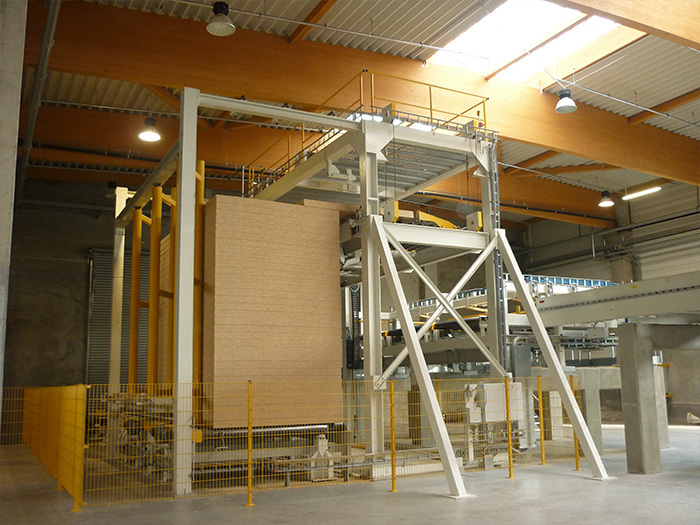 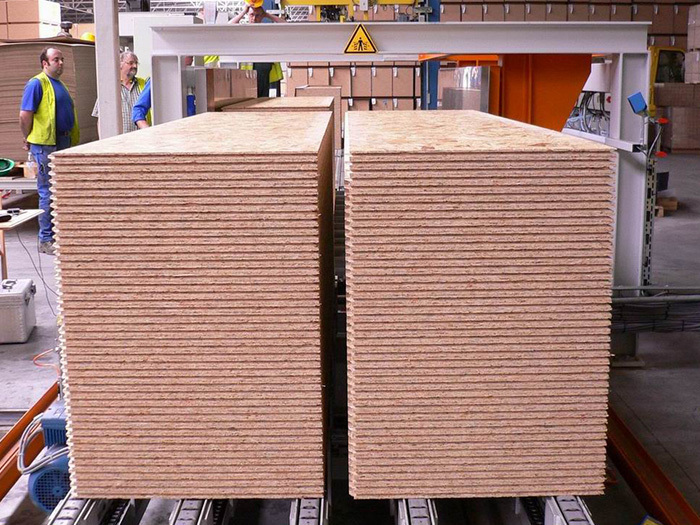 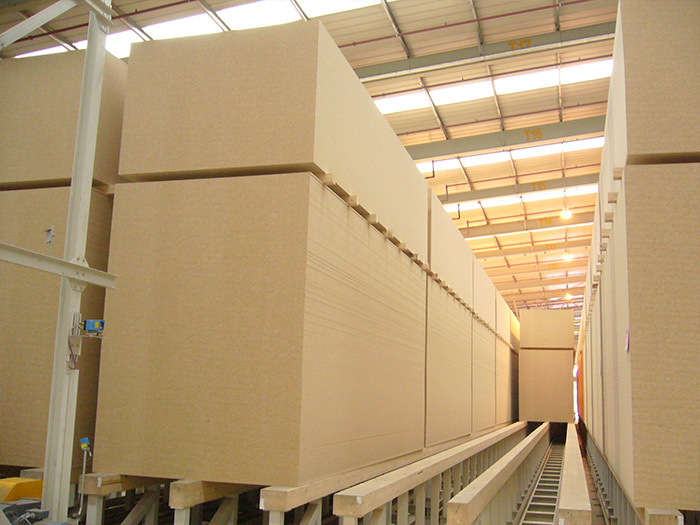 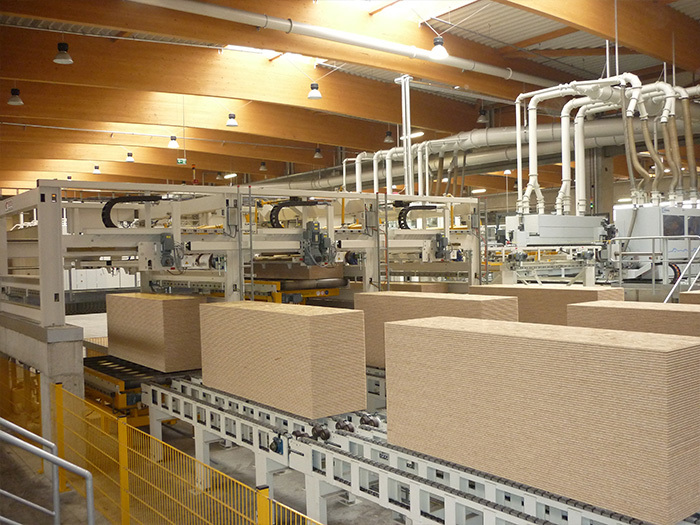 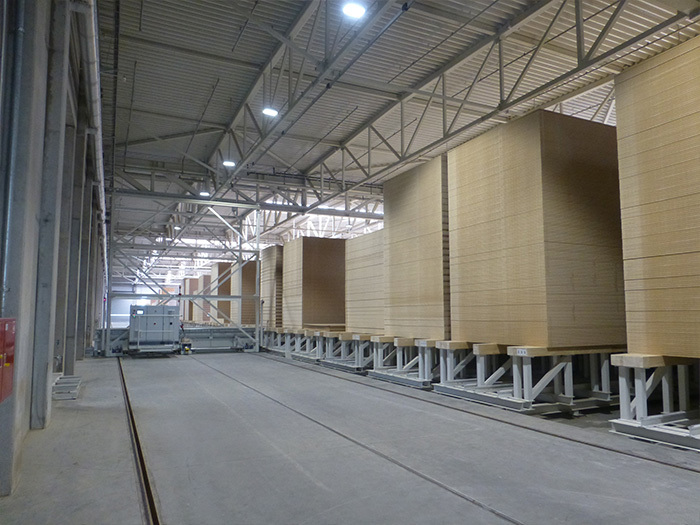 feeding of small sizes and normal stacks: the press line needs already divided boards and will produce a T+ G preformat. 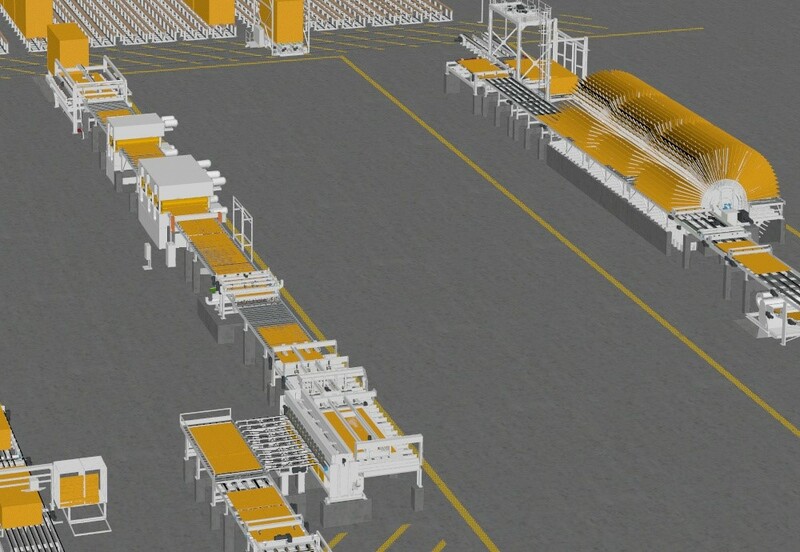 Thus, the press line becomes more complicated. 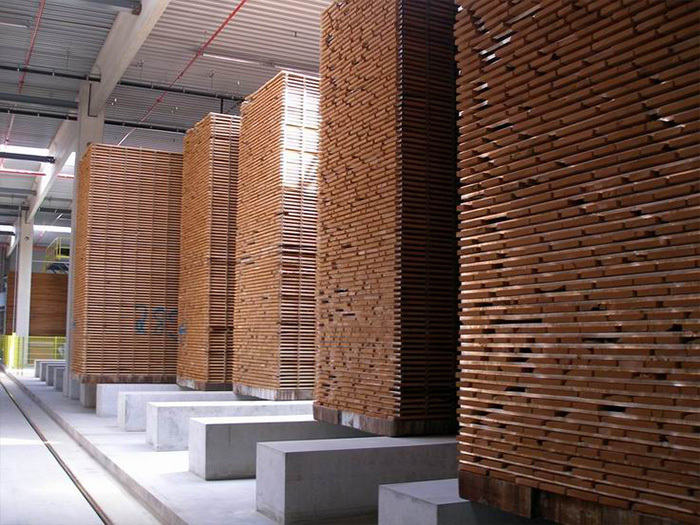 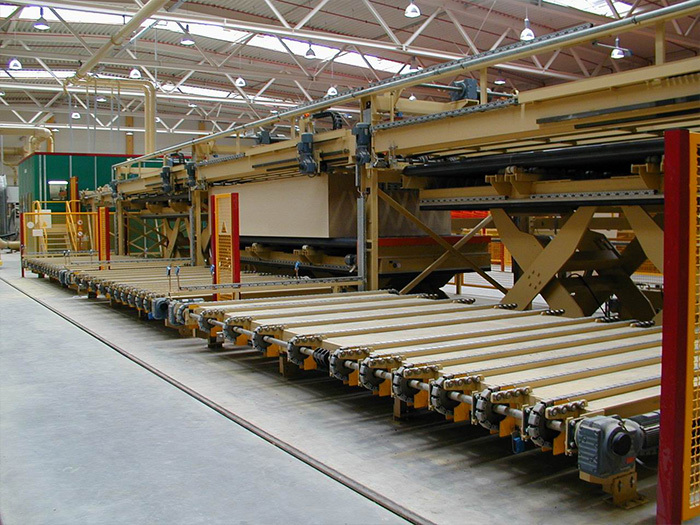 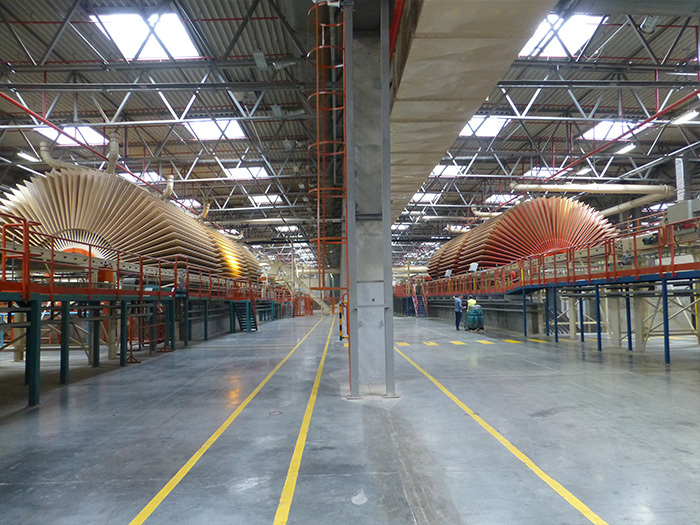 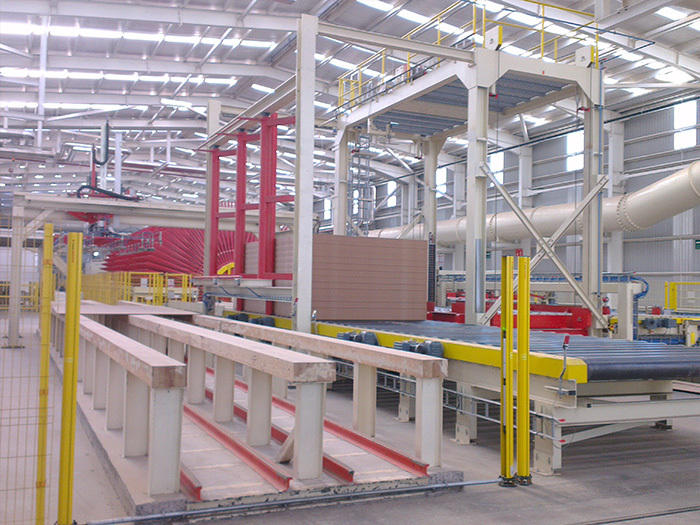 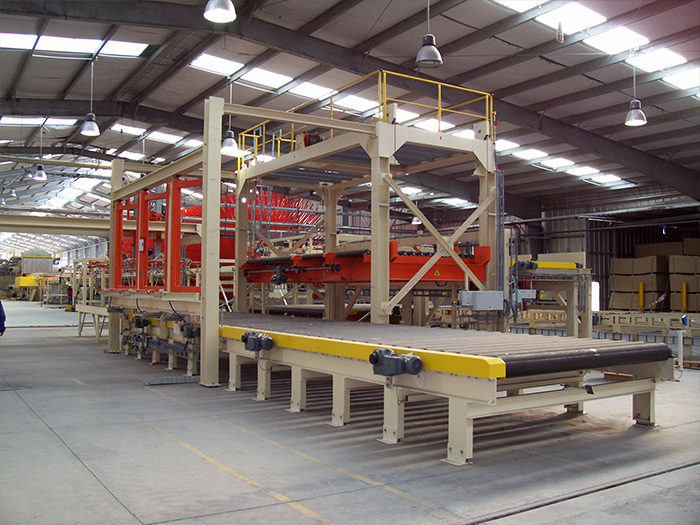 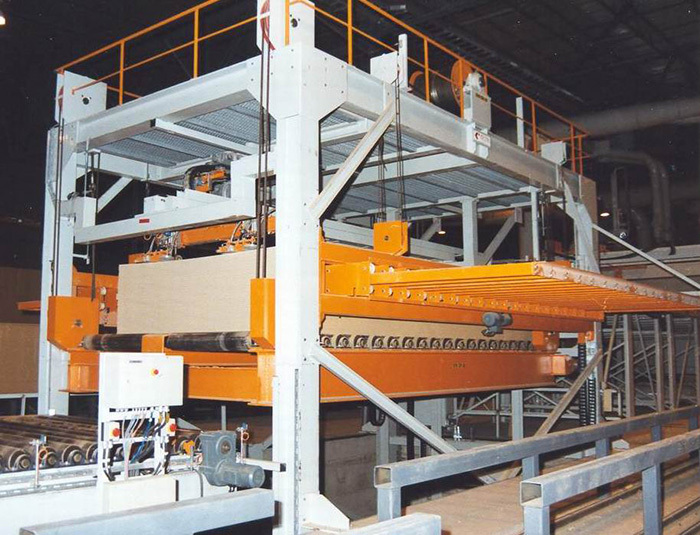 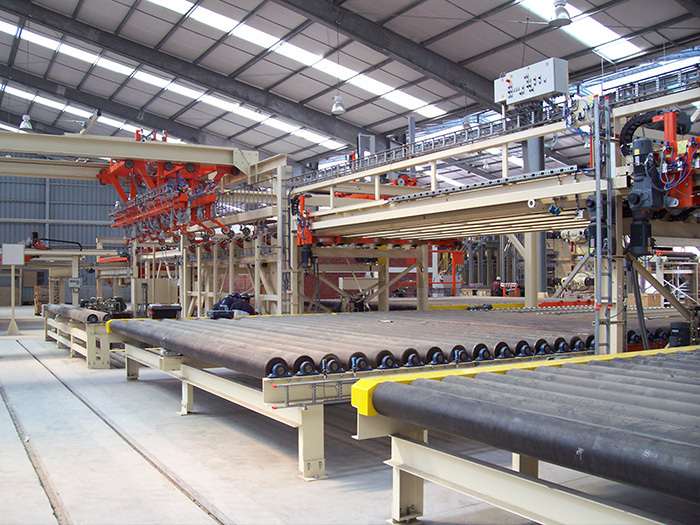 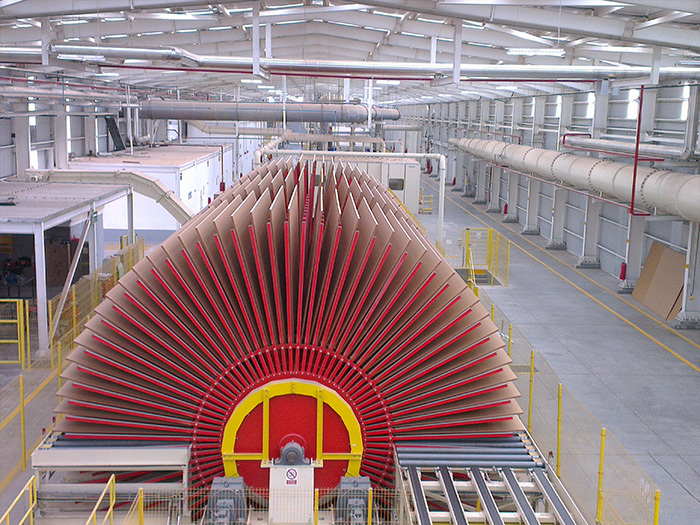 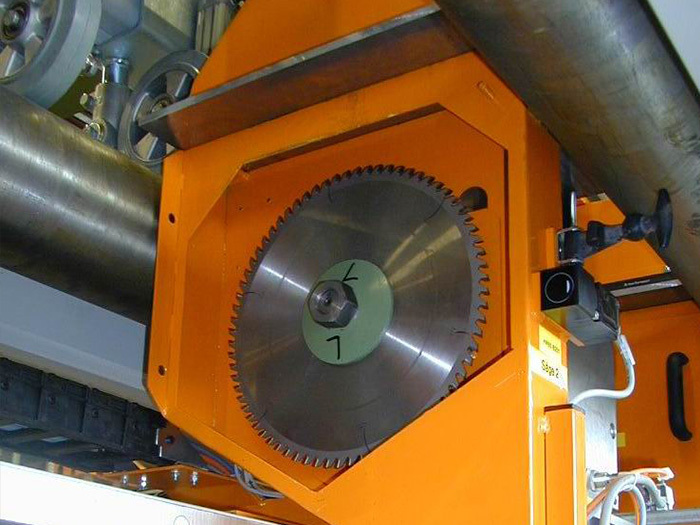 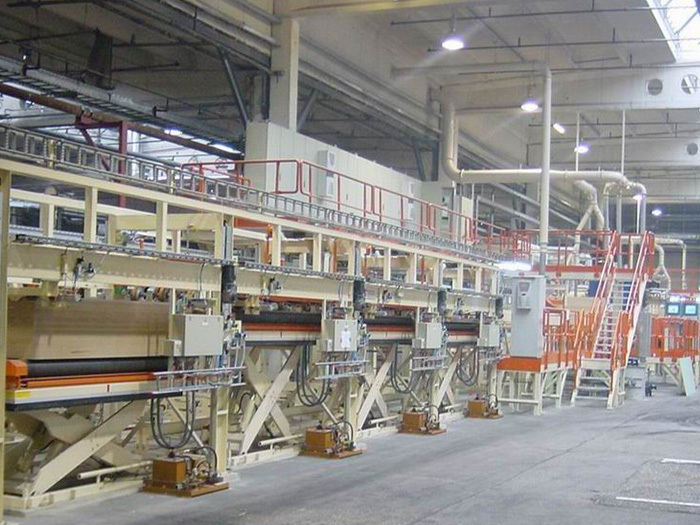 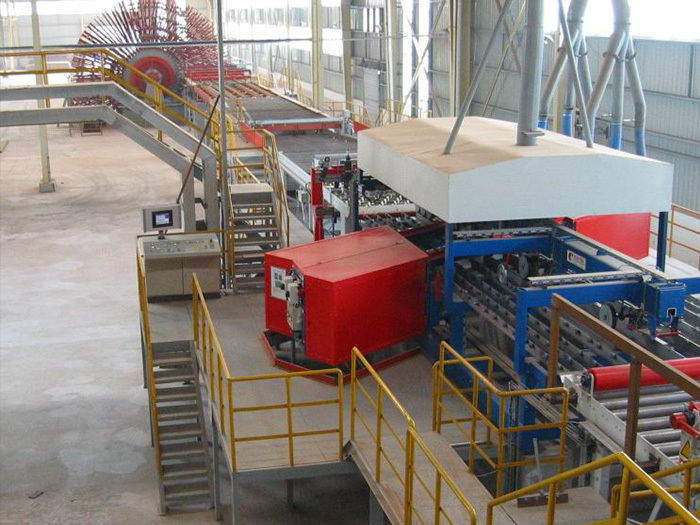 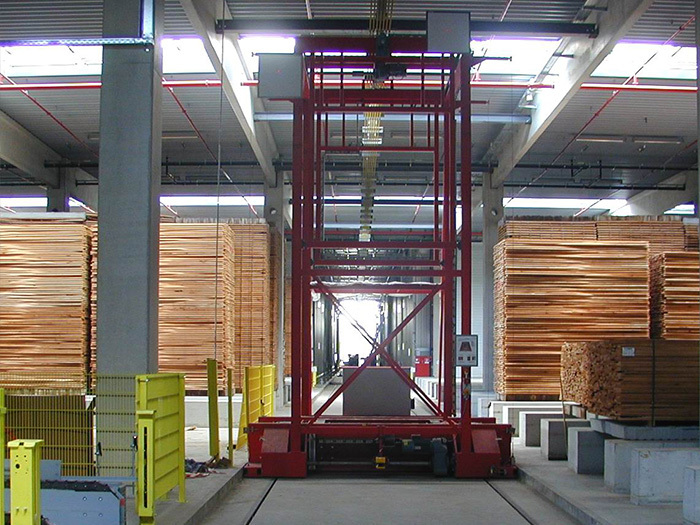 Alternatively preformats can be produced on a separate saw line. 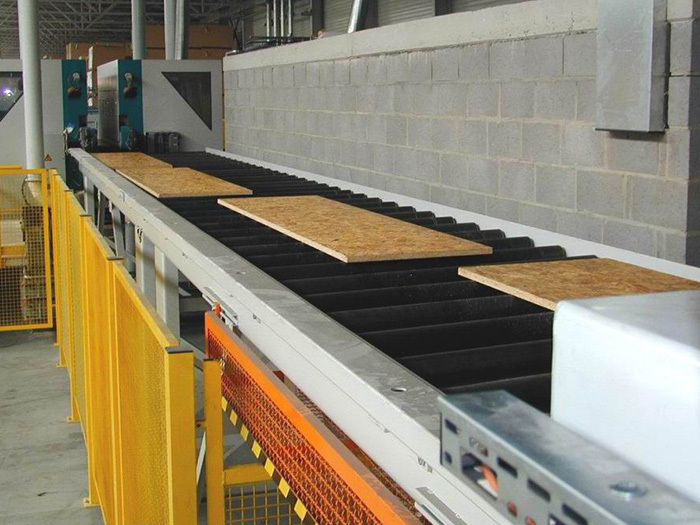 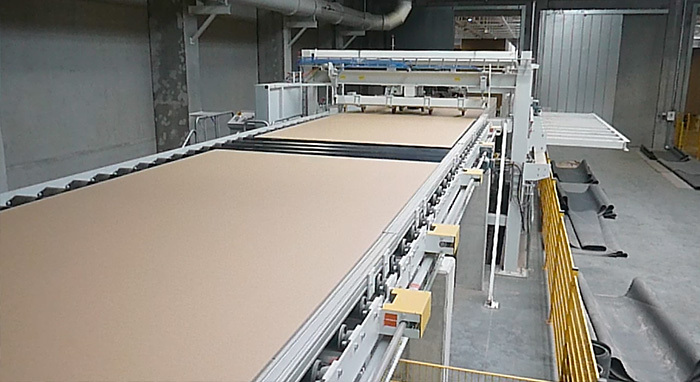 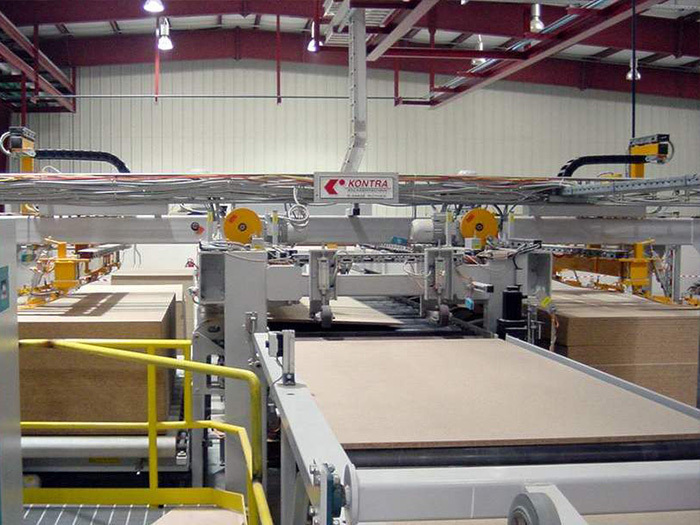 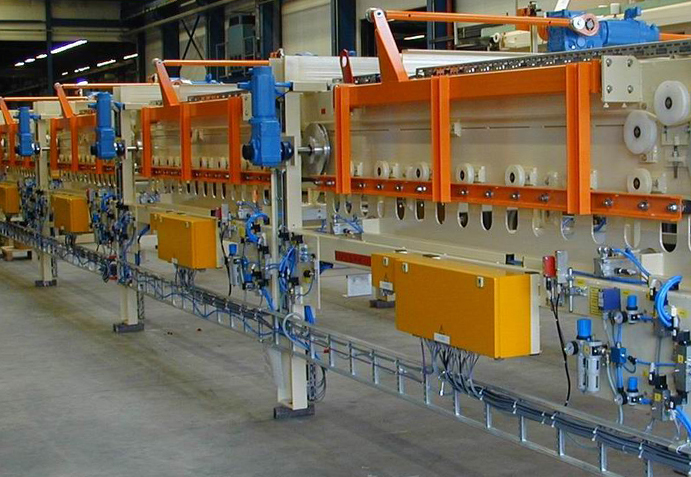 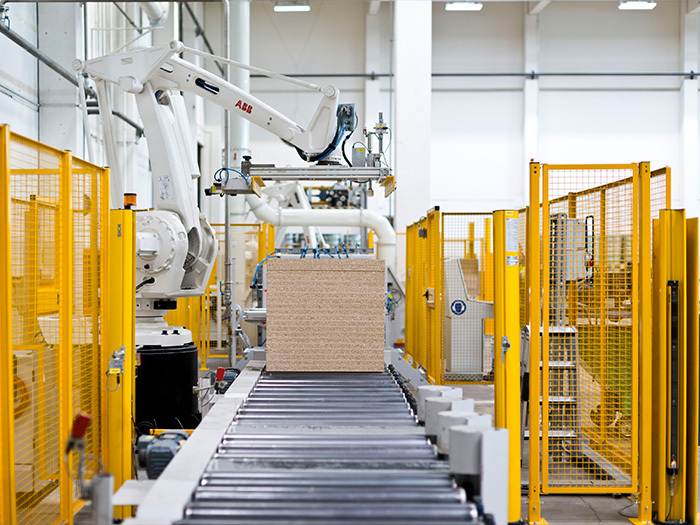 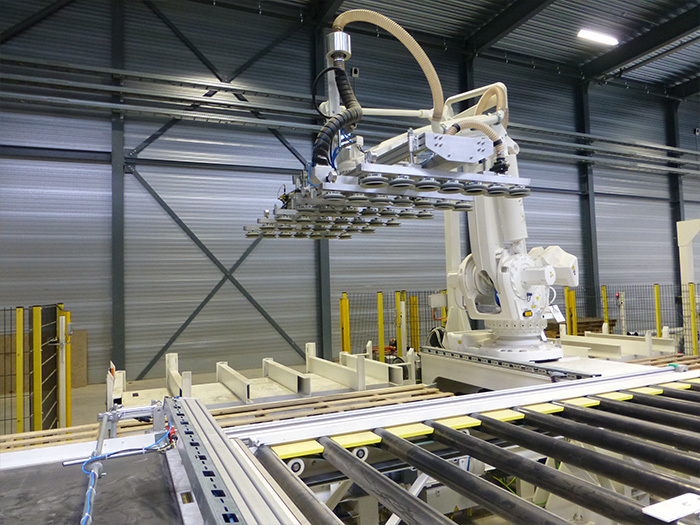 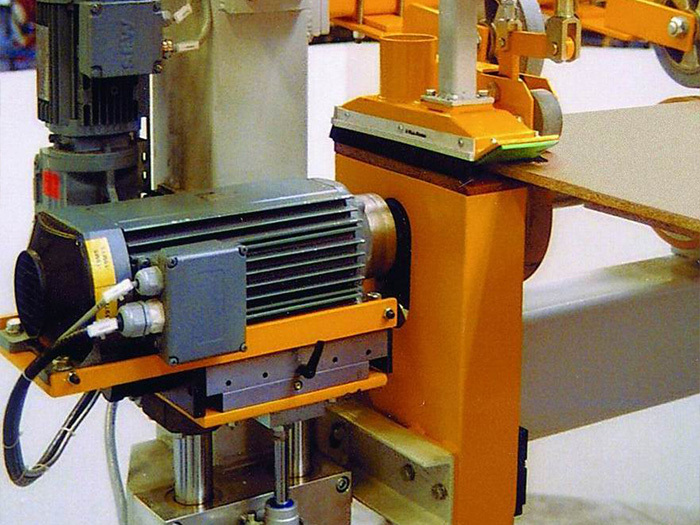 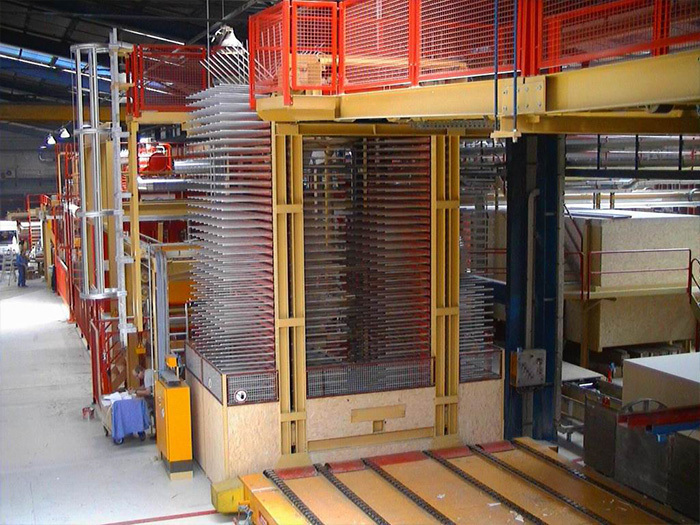 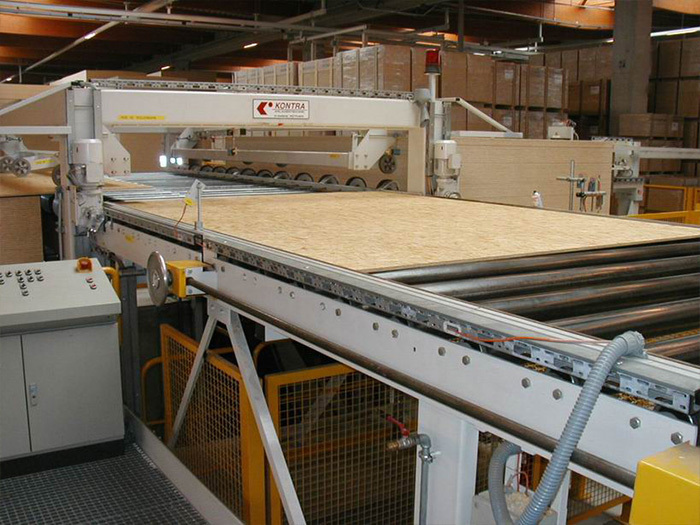 KONTRA’s tongue and groove systems (T+G lines) automatically generate tongue and groove edges for particle and OSB boards in throughfeed operation with a double-end tenoner. 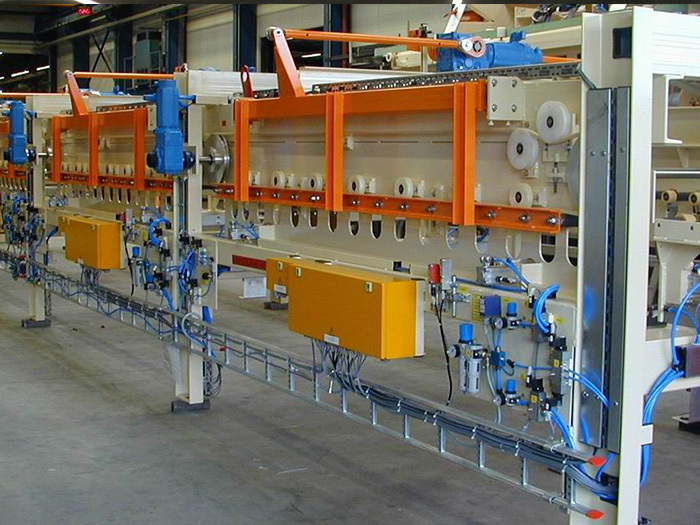 The handling of KONTRA’s printing and varnishing lines is designed in such a way that it suits the individual requirements of our clients in the best possible way. 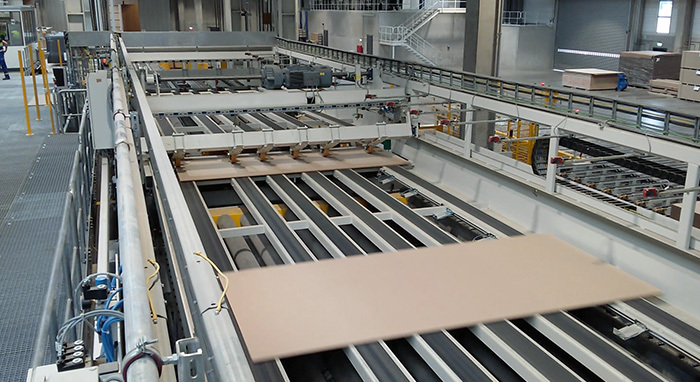 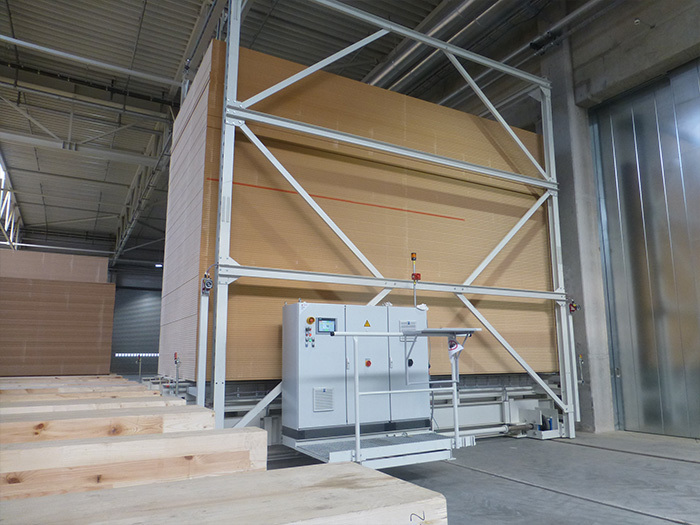 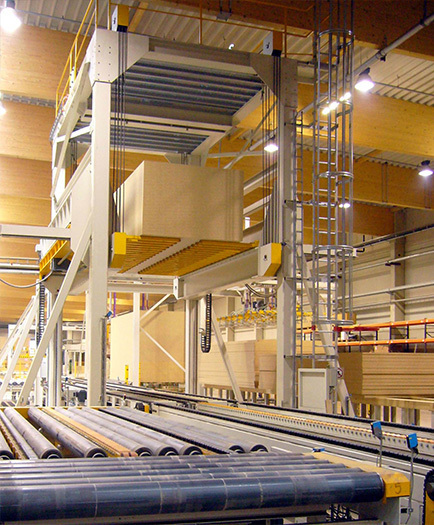 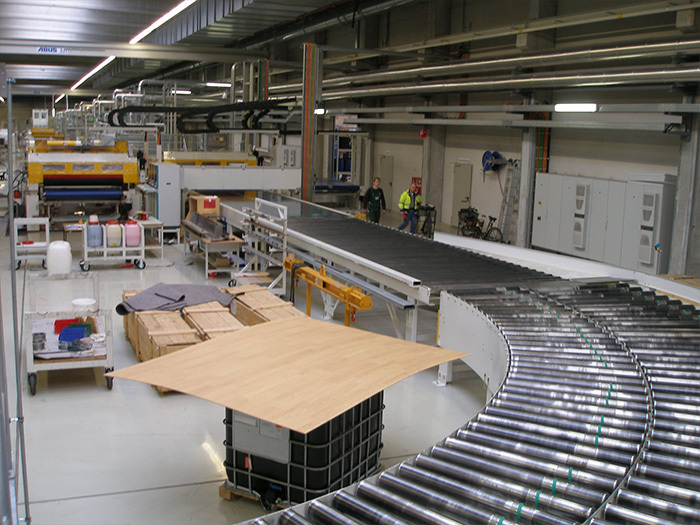 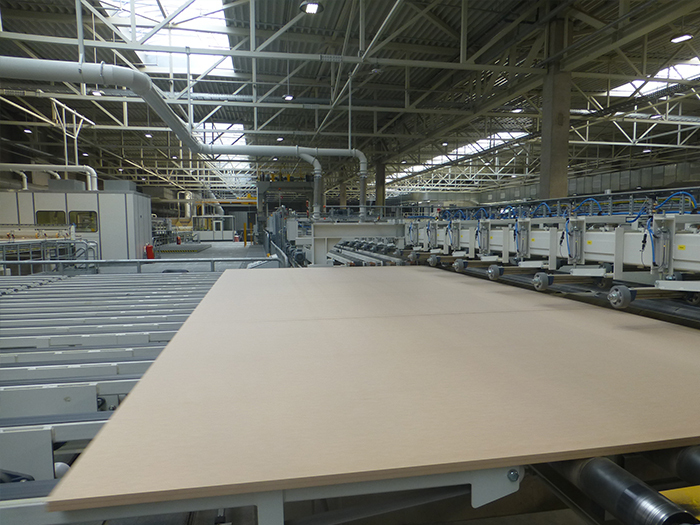 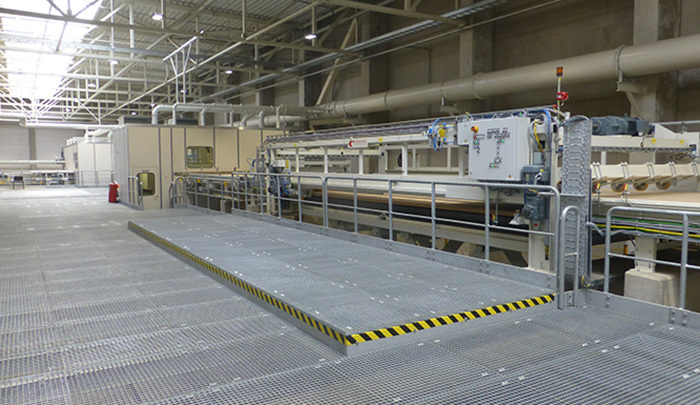 High performance, separation and transportation of thin boards, extremely long lines (up to 400 m) which only become feasible through curves, sensitive surfaces and double-sided varnishing are just some importing criteria for printing and varnishing lines. 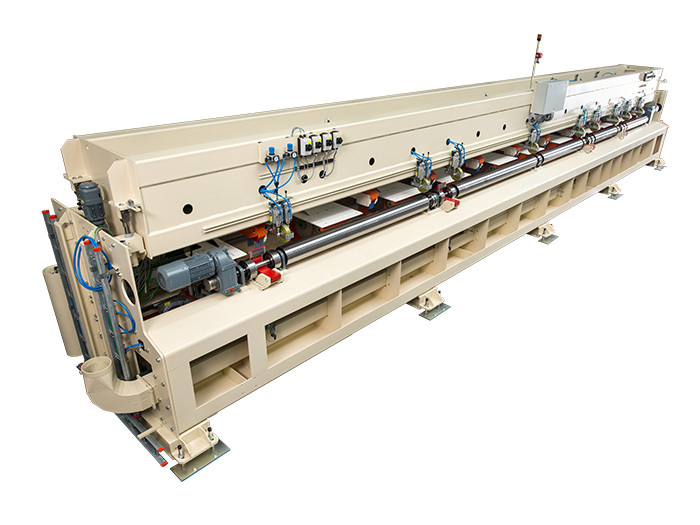 Whether continuous coating in the double belt press, the thermal coating system or coating in a short-cycle press, KONTRA offers you the complete handling spectrum of all types of coating materials and substrate panels. 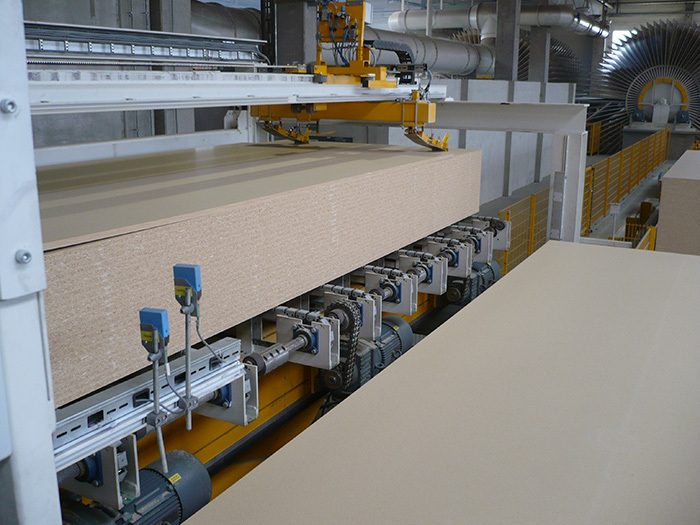 Coating and finishing of board surfaces is becoming increasingly important. 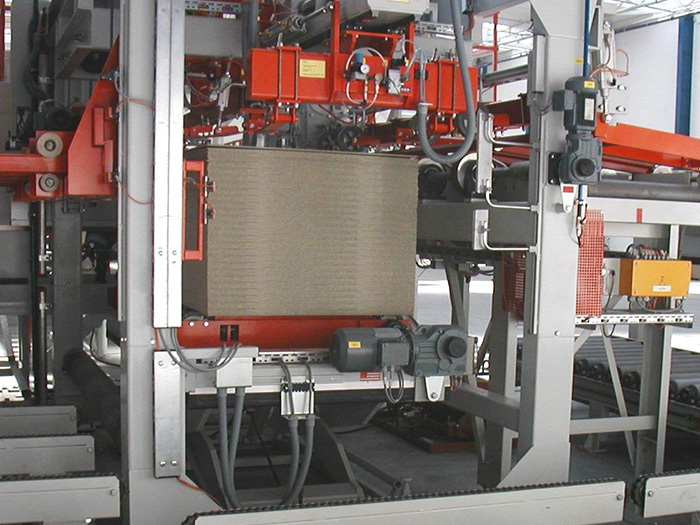 Automatic feed systems, transport systems and stacking systems manufactured by KONTRA ensure an economical and continuous operation. 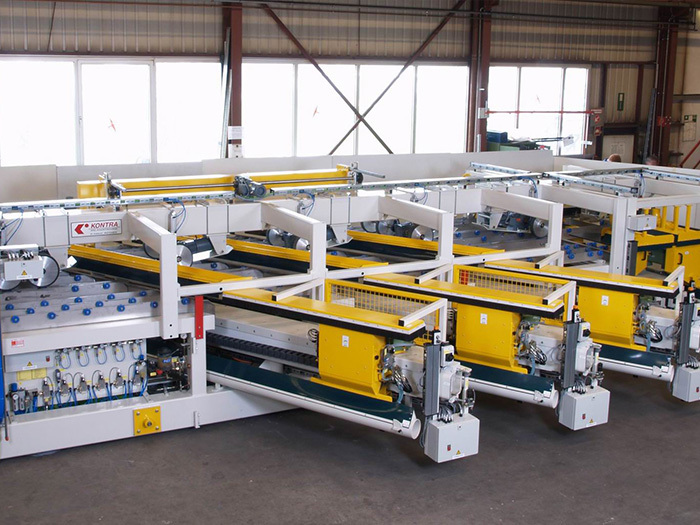 Our special, customized machines and individual components form a high-quality basis for your overall concept. 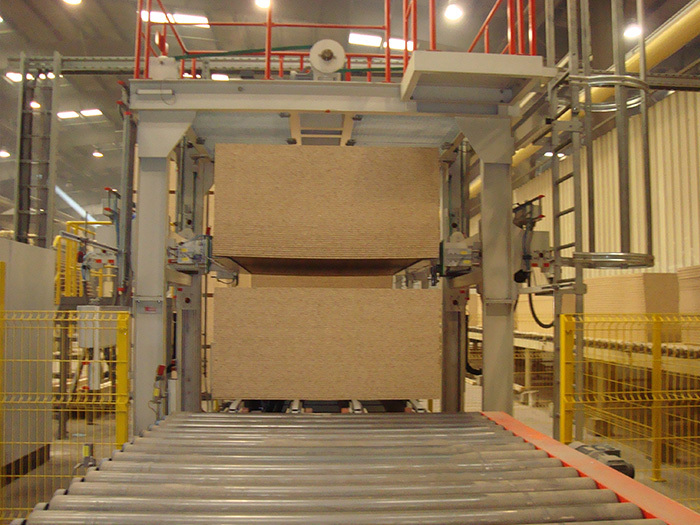 Sound knowledge of materials and specific characteristics facilitate numerous different applications. 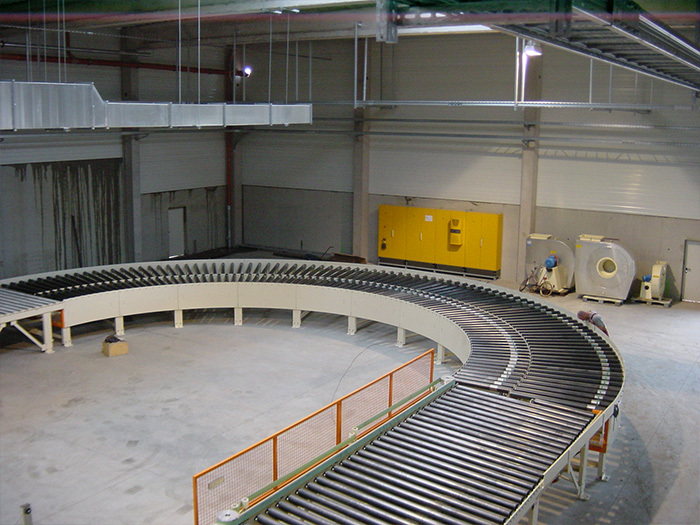 Installed, tested, ready for operation. 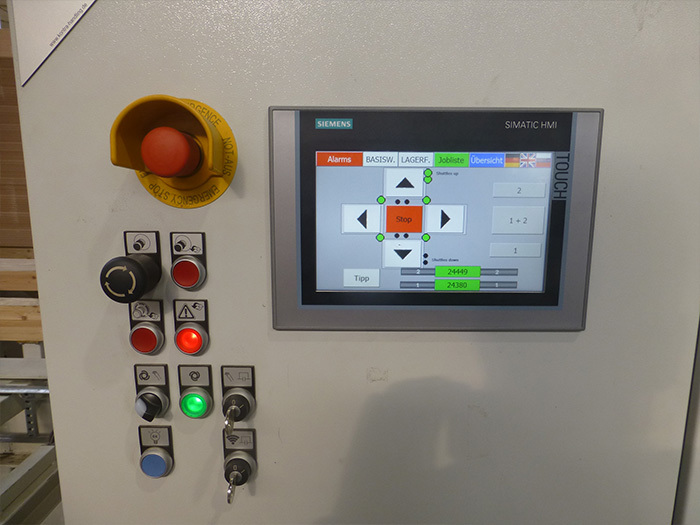 KONTRA process automation includes switch cabinet construction, SPS programming and visualization from one source. 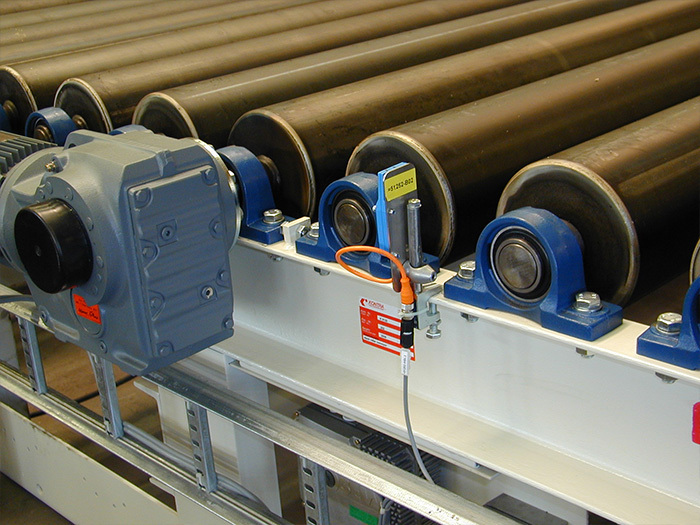 We offer versatility regarding adaptation of your control system and your installation. 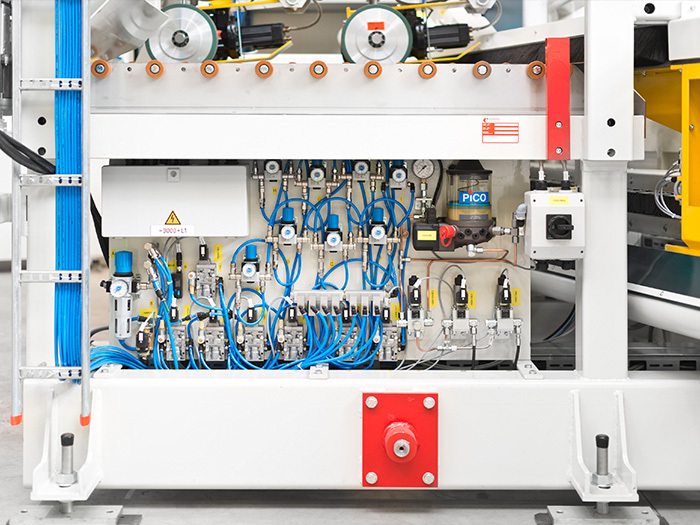 We would be glad to offer you advice on the topic of systems, modernization and operation. 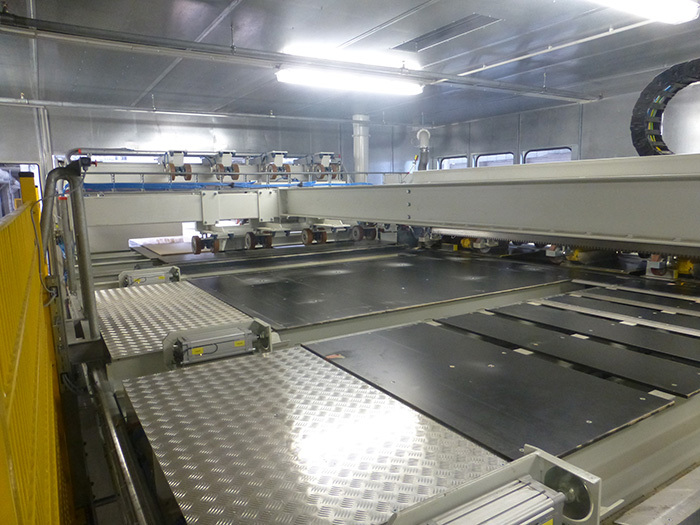 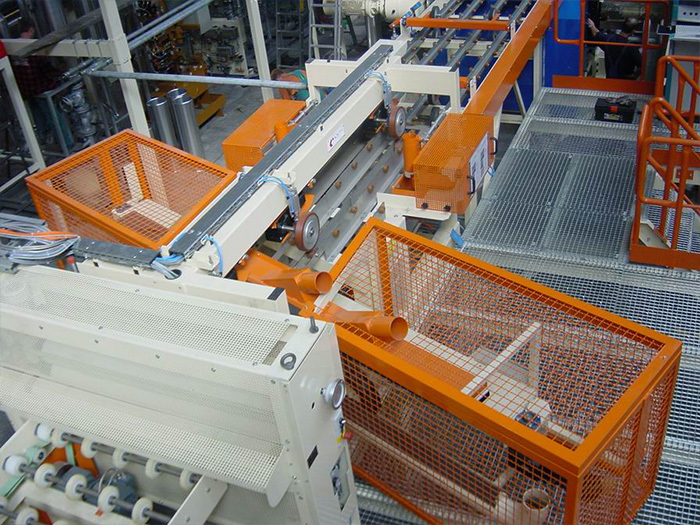 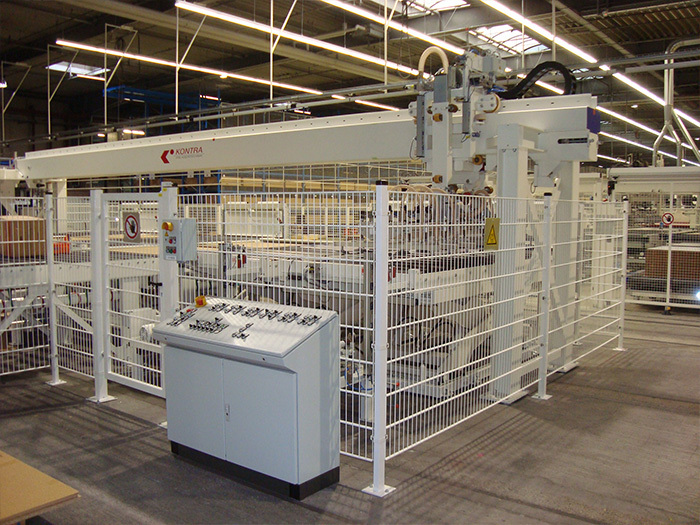 Do you need individual machines to complement your existing production facility? 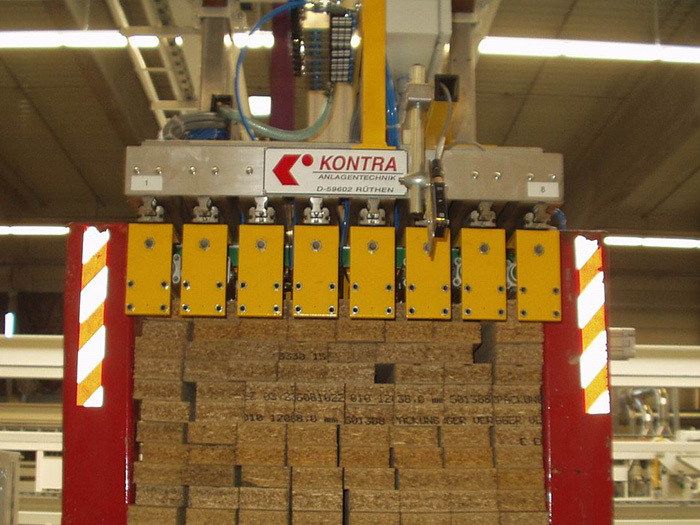 KONTRA will provide you with custom-fit individual modules. 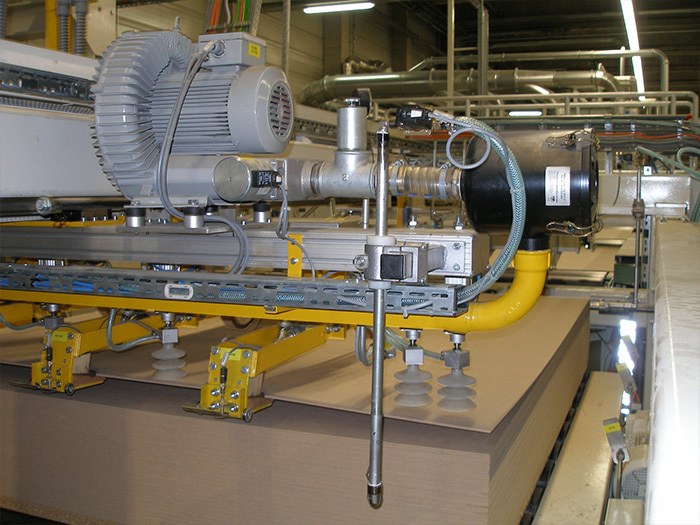 Perfectly adapted to the processes of your installation. 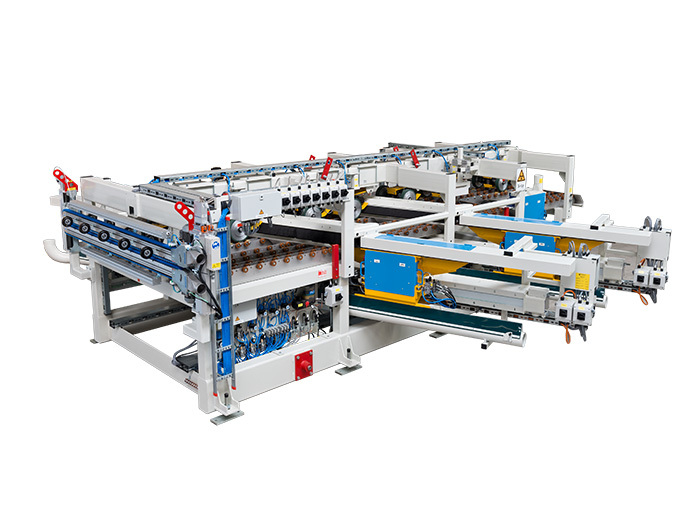 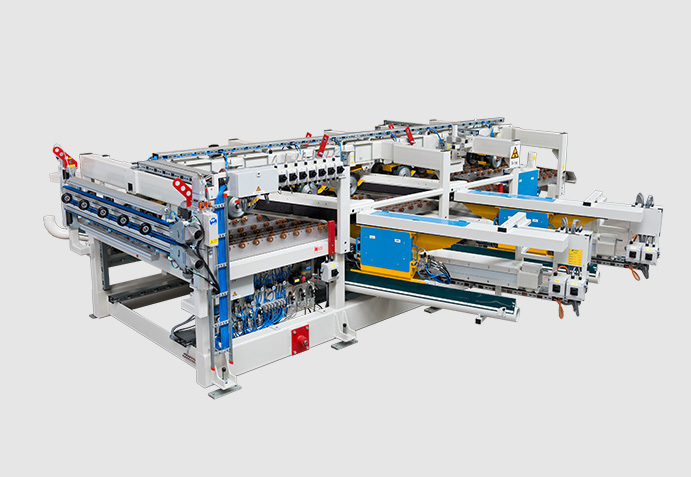 Broad range of cost-effective and efficient individual machines as standard or special version. 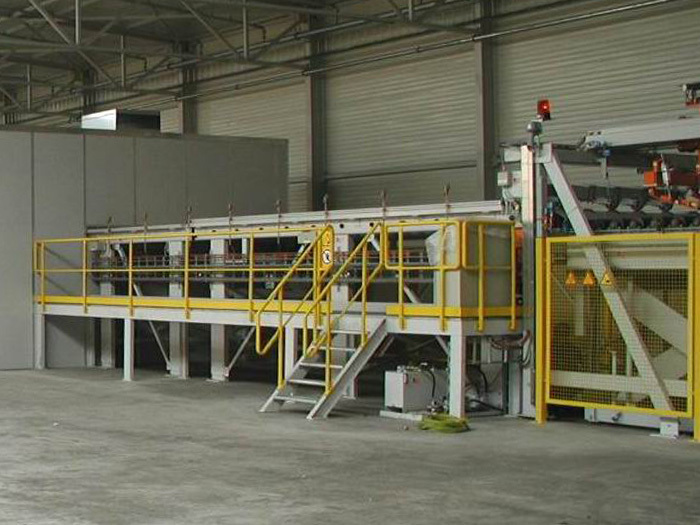 Optimizing and stabilizing the production of existing plants. 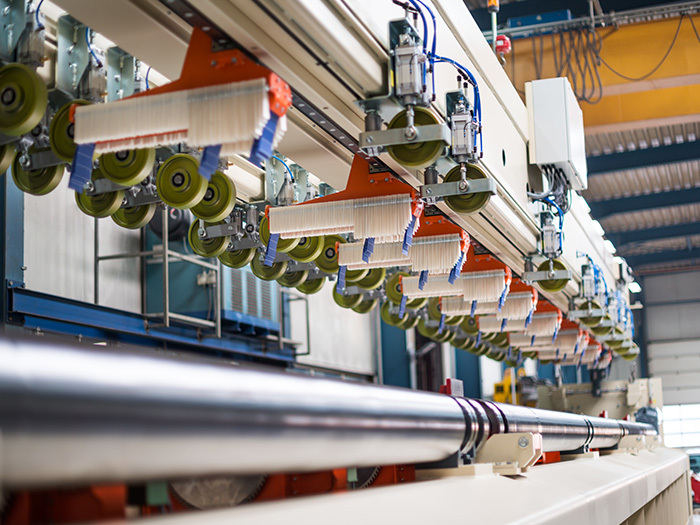 Retrofits and replacements are also possible for plants purchased from other manufacturers. 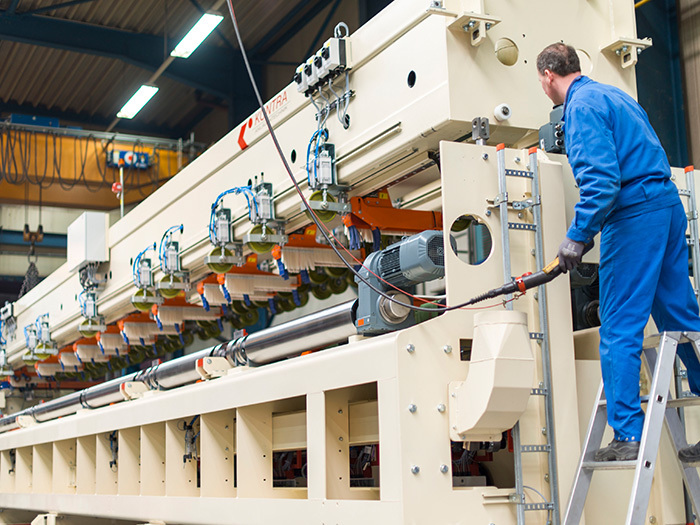 Maintenance and modernization are essential for cost-effective production processes. 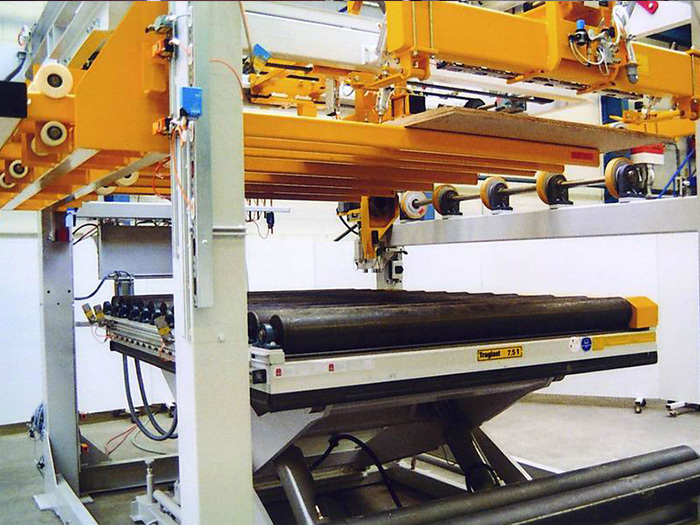 We overhaul your existing KONTRA production unit. 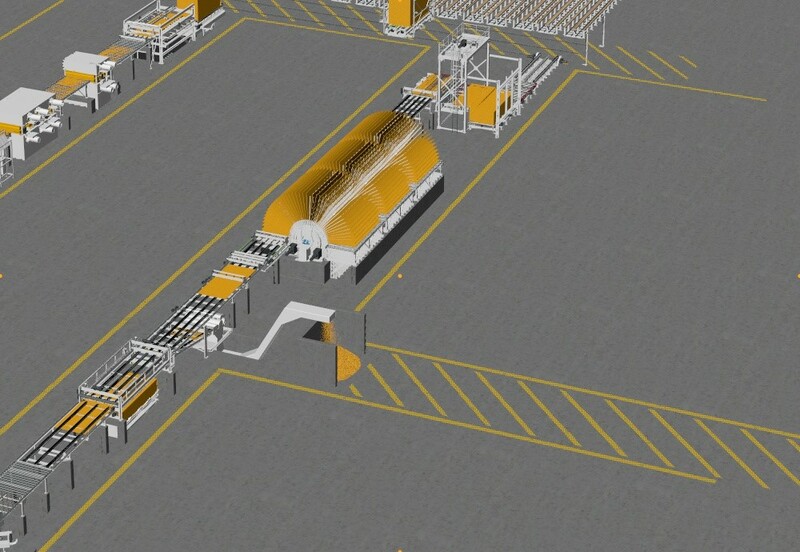 And provide technical help, should this become necessary. 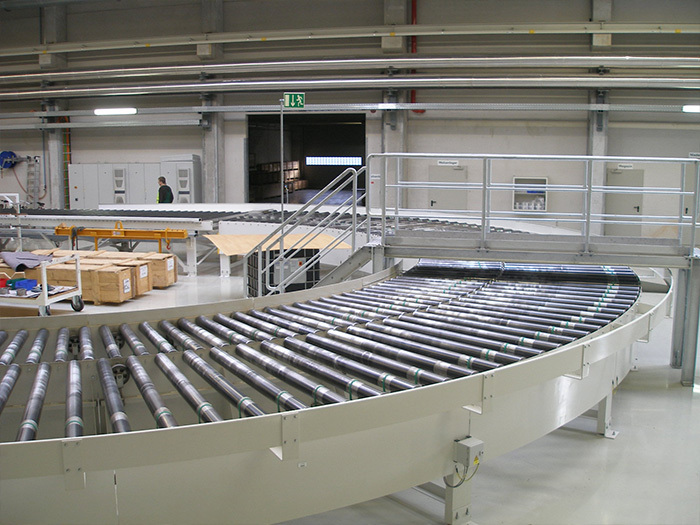 Do you need a spare part? 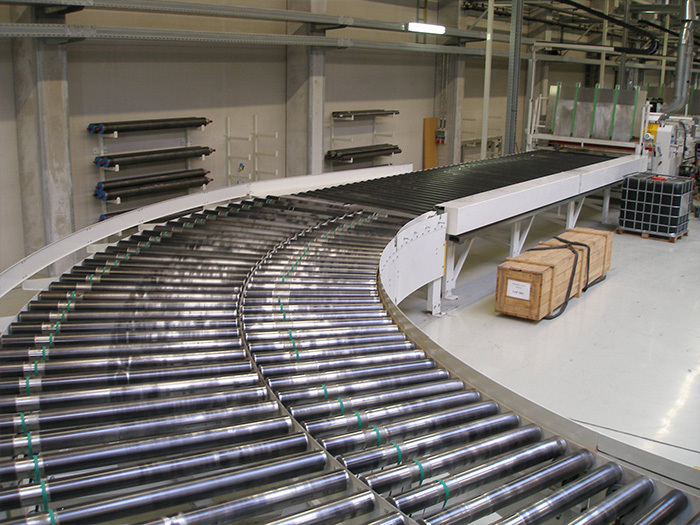 Precise placement and continuous project support minimize your production downtime. 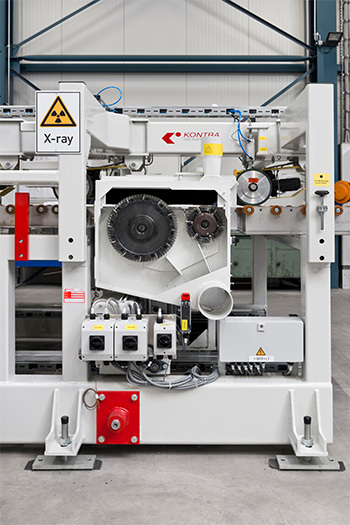 And guarantee a long working life of your parts. 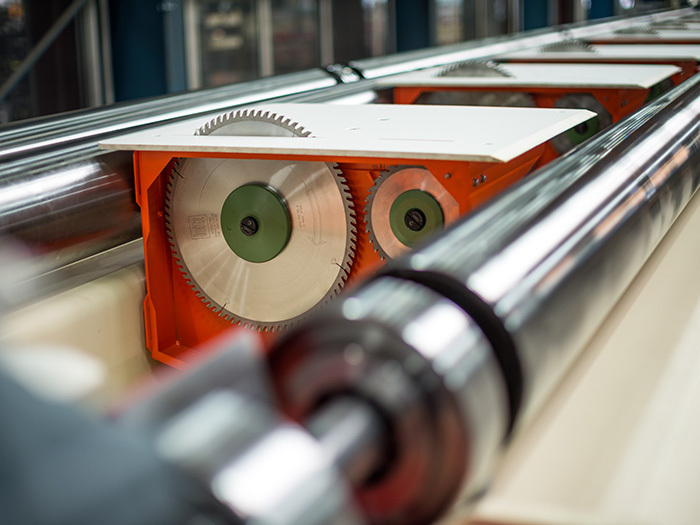 Our particular strength is solving individual problems. 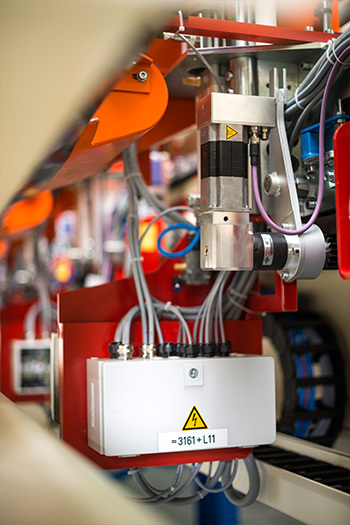 How do we go about it? 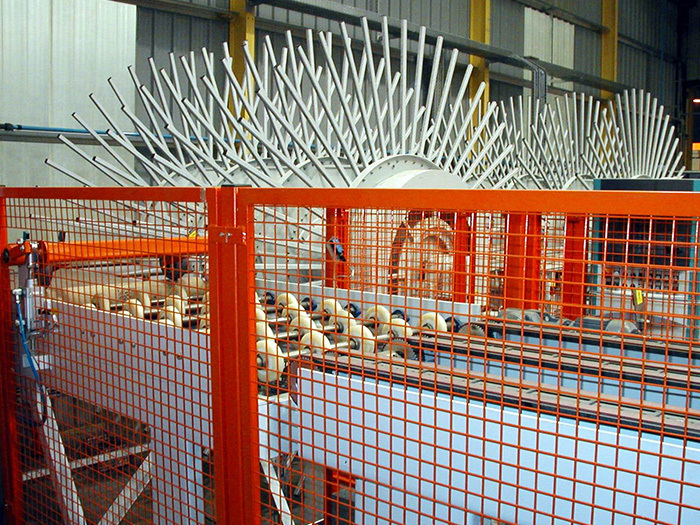 Years of experience, profound advice, minimal reaction times and short routes are some of our main characteristics.